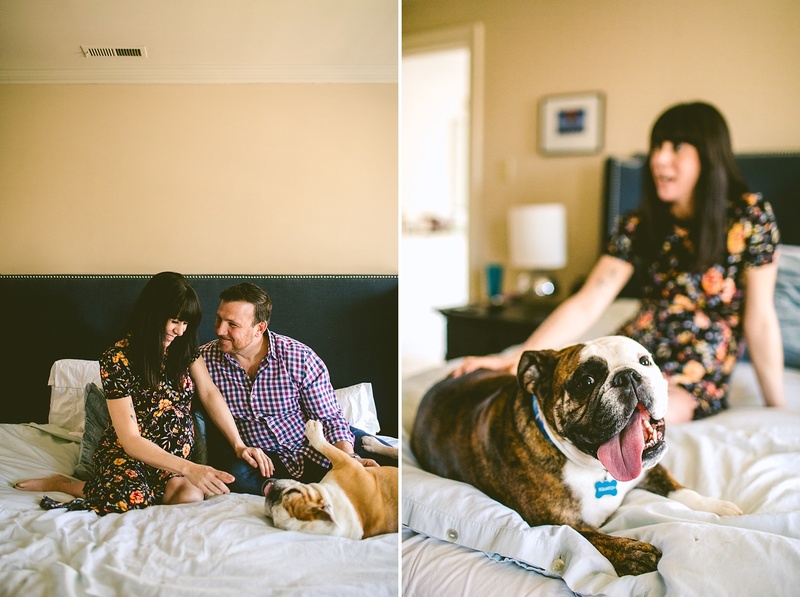 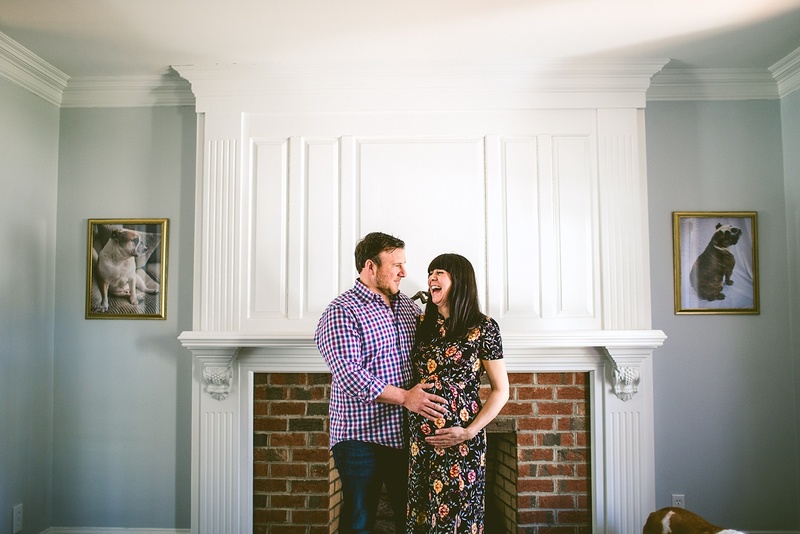 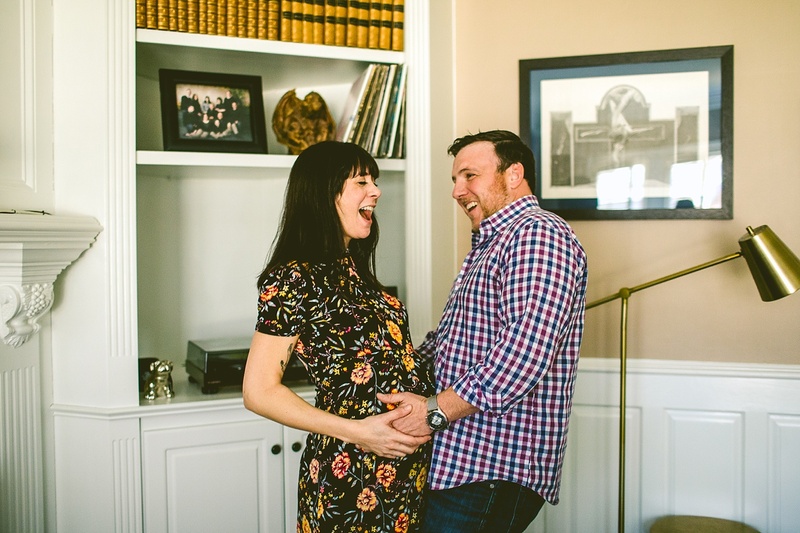 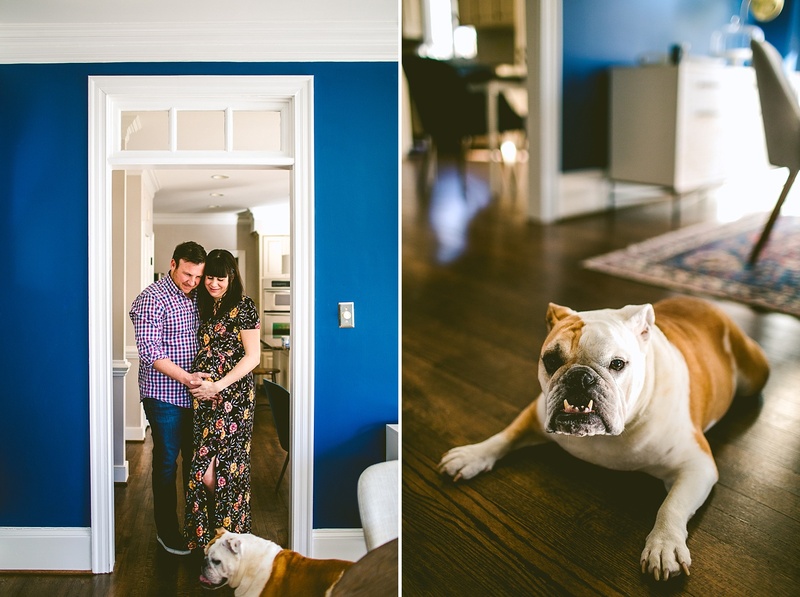 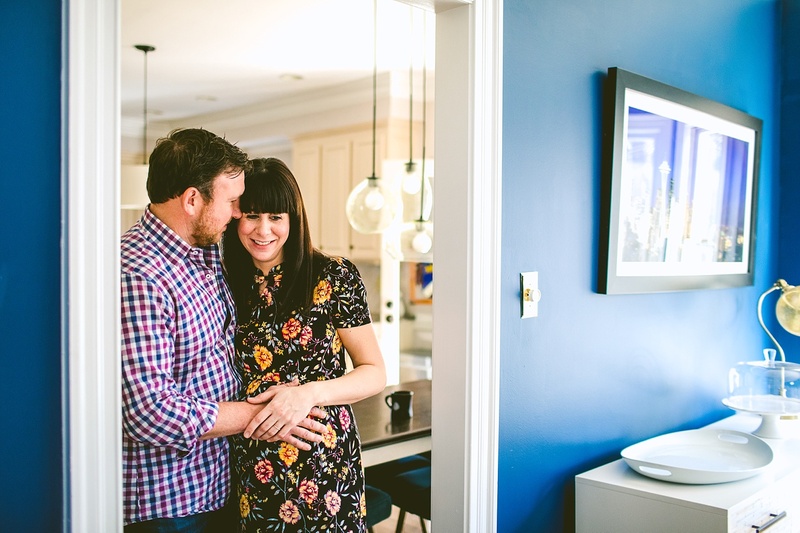 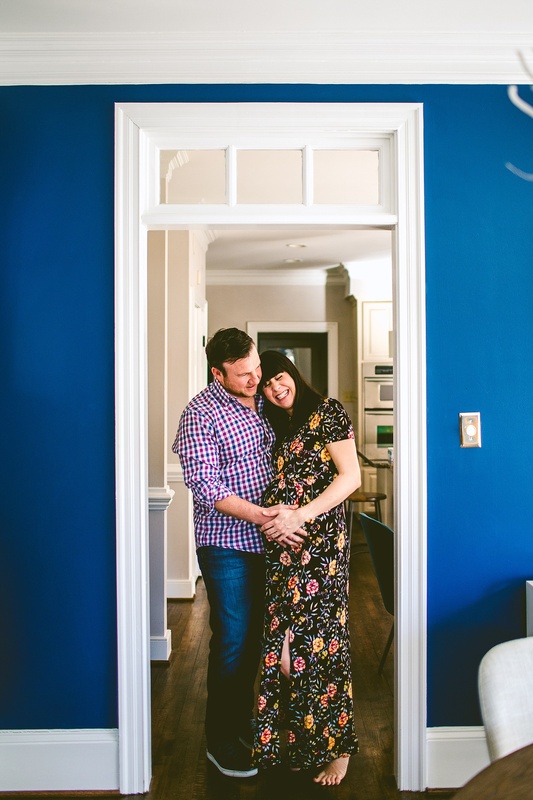 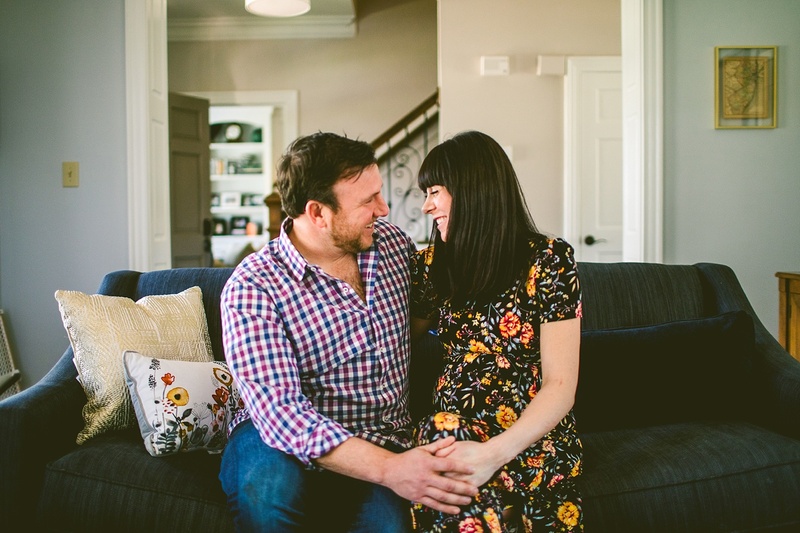 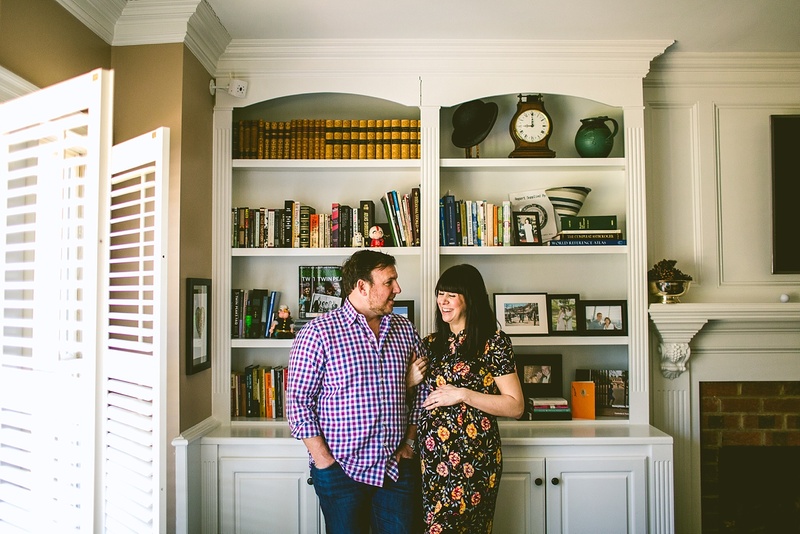 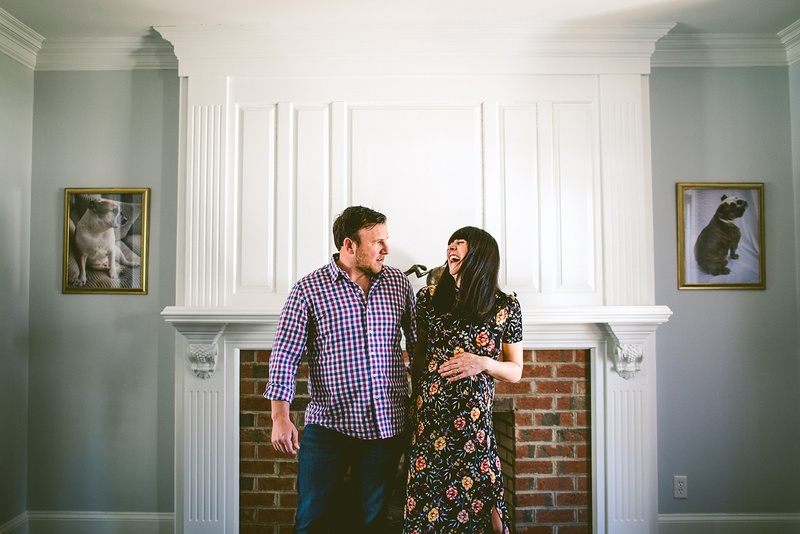 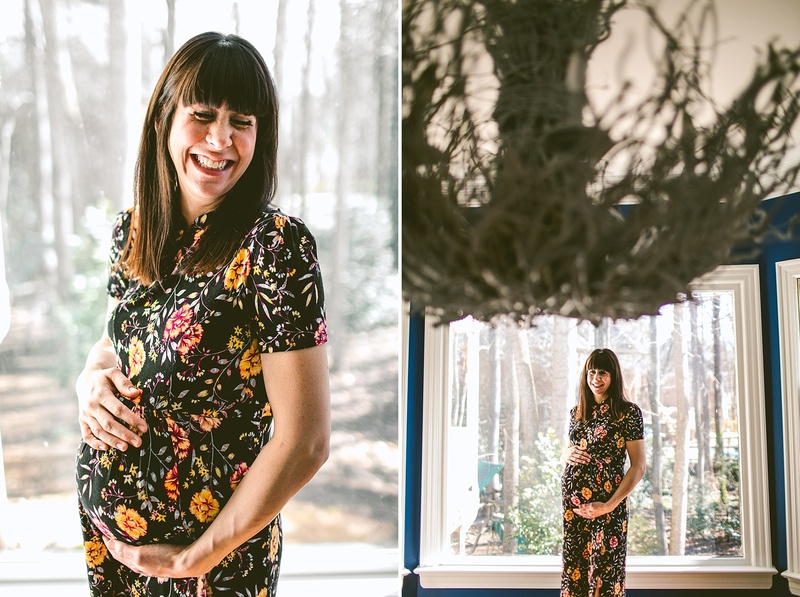 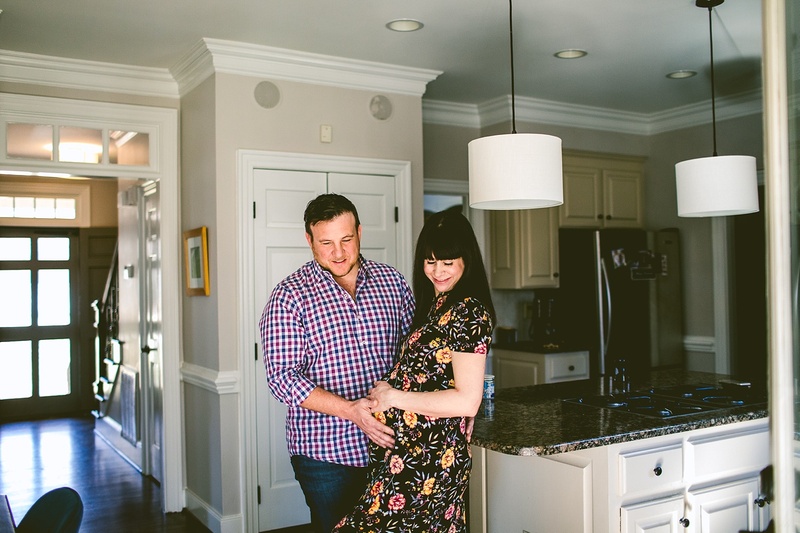 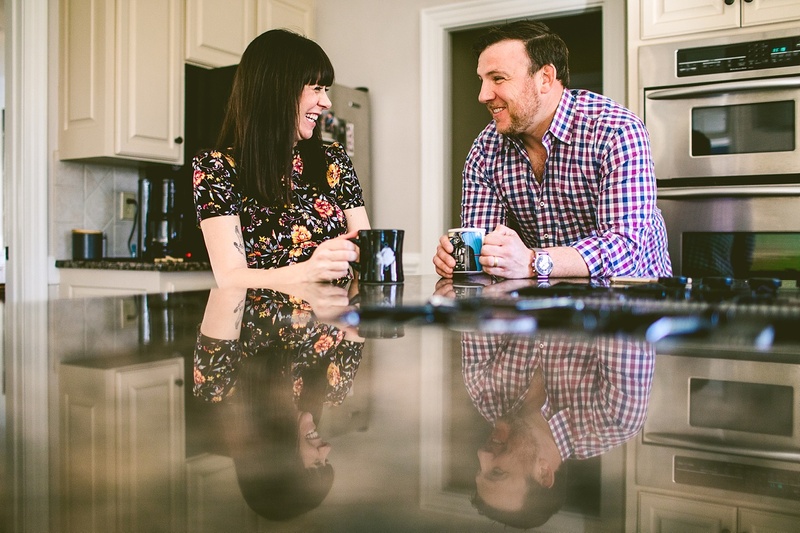 Carolyn Scott Photography | Family and Business Photographer | Raleigh - Durham, NC Sarah+Chris // A Maternity Session. 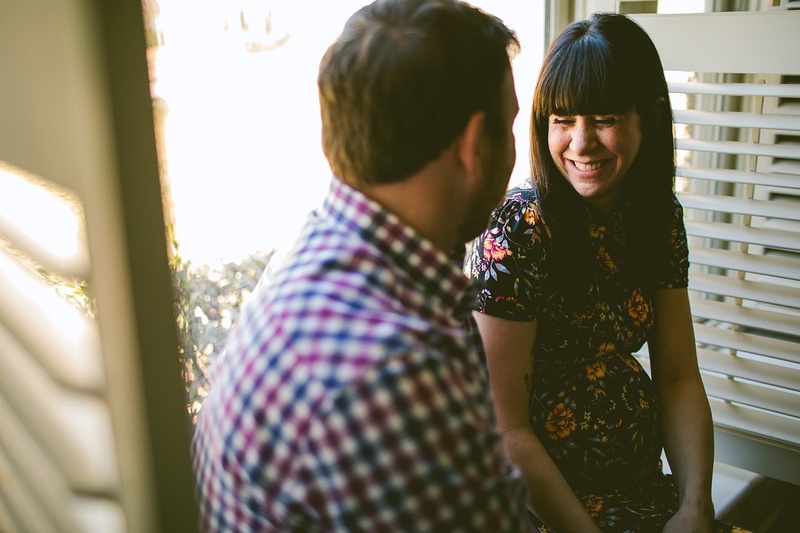 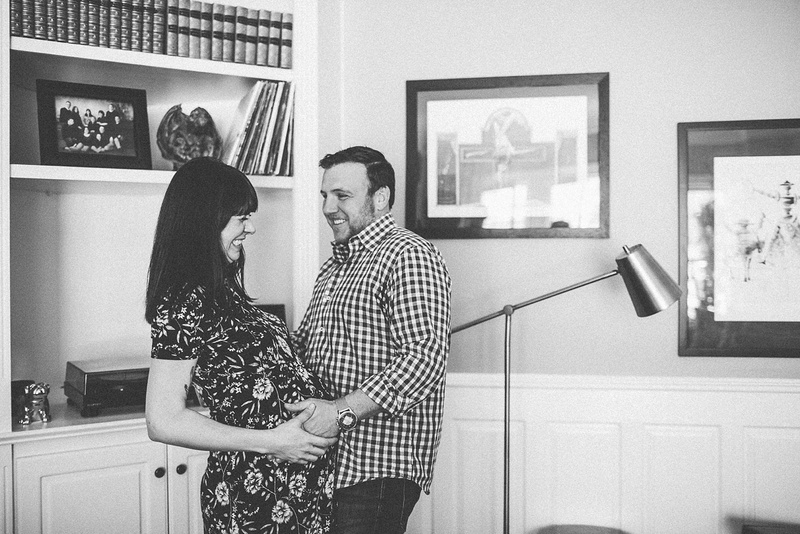 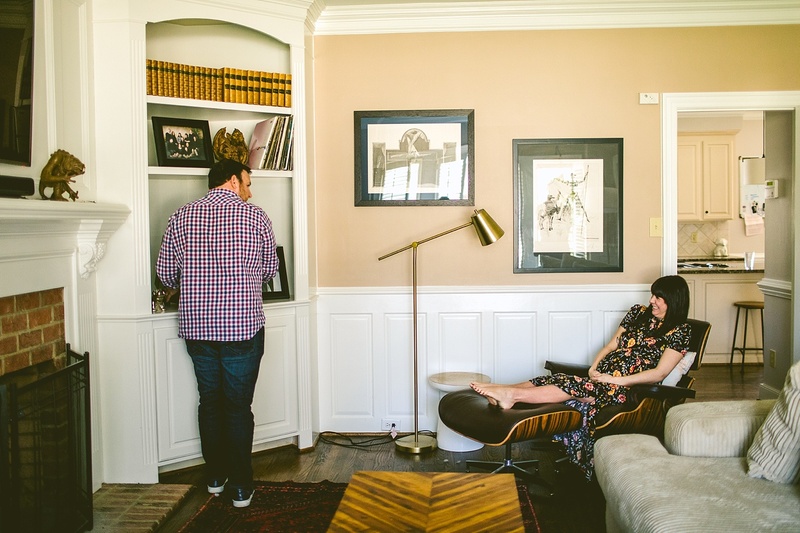 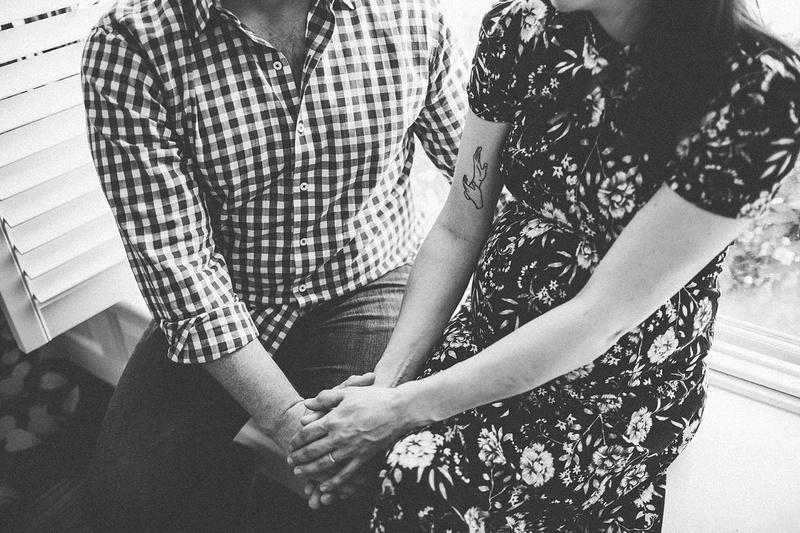 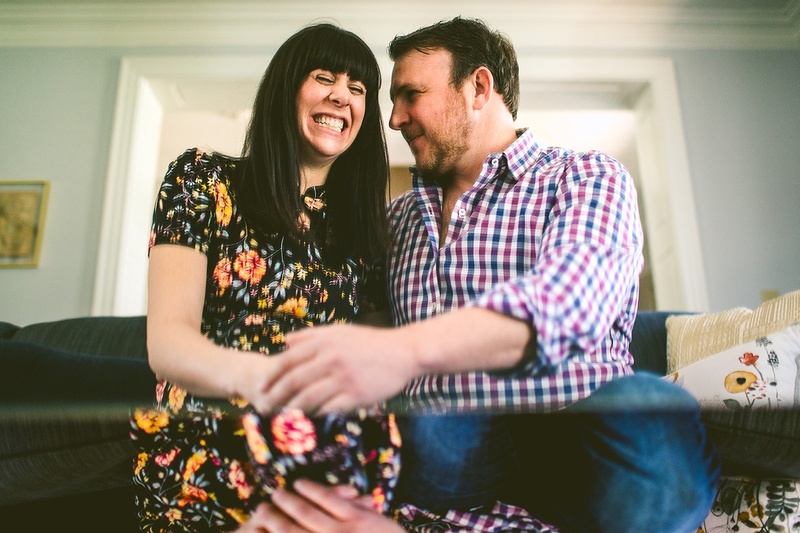 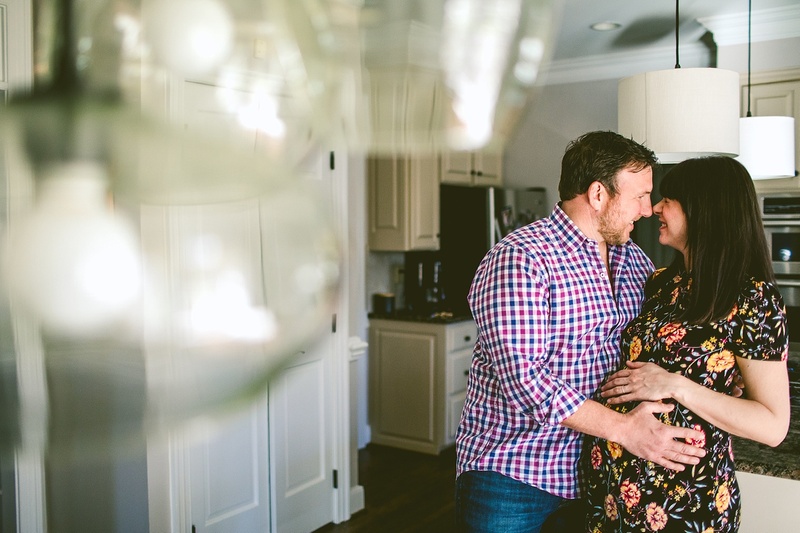 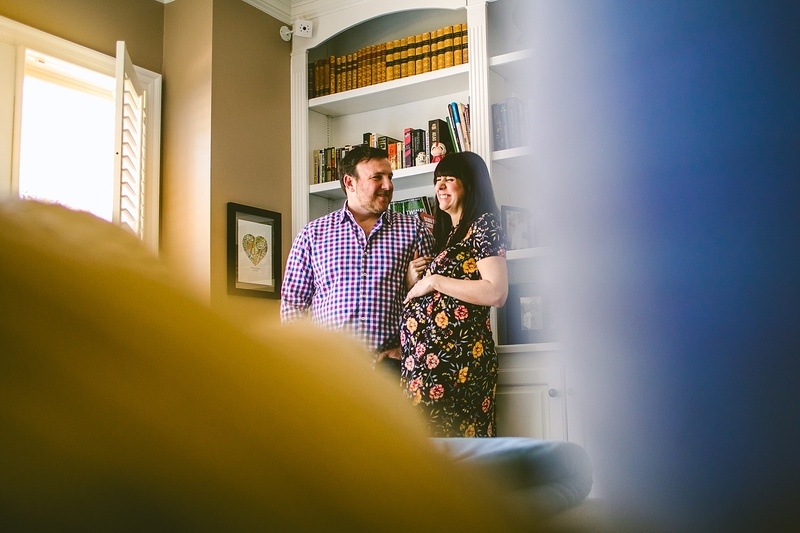 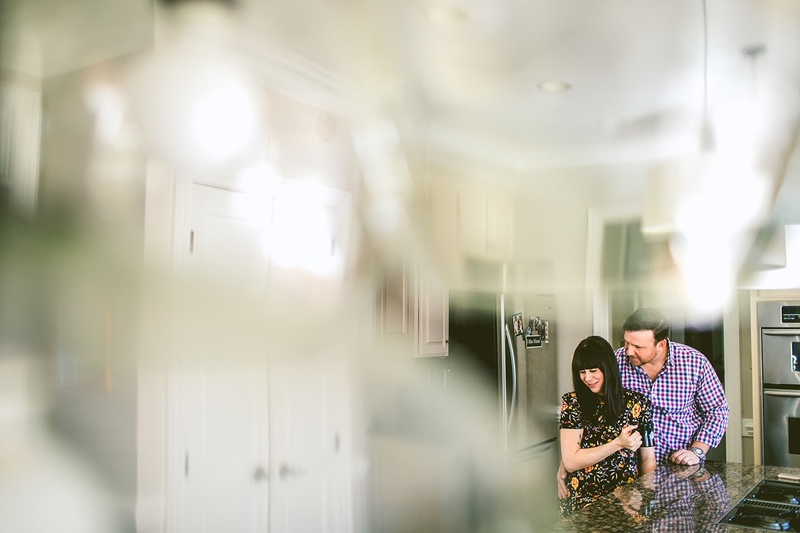 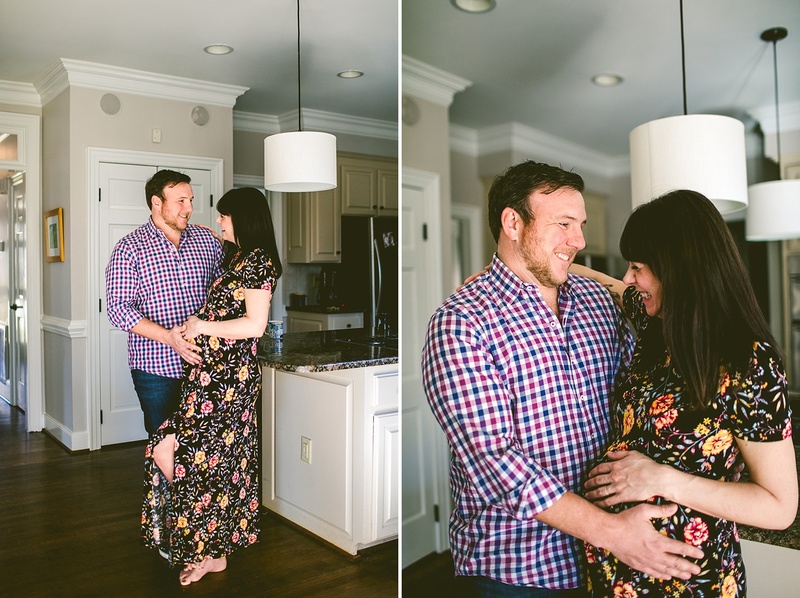 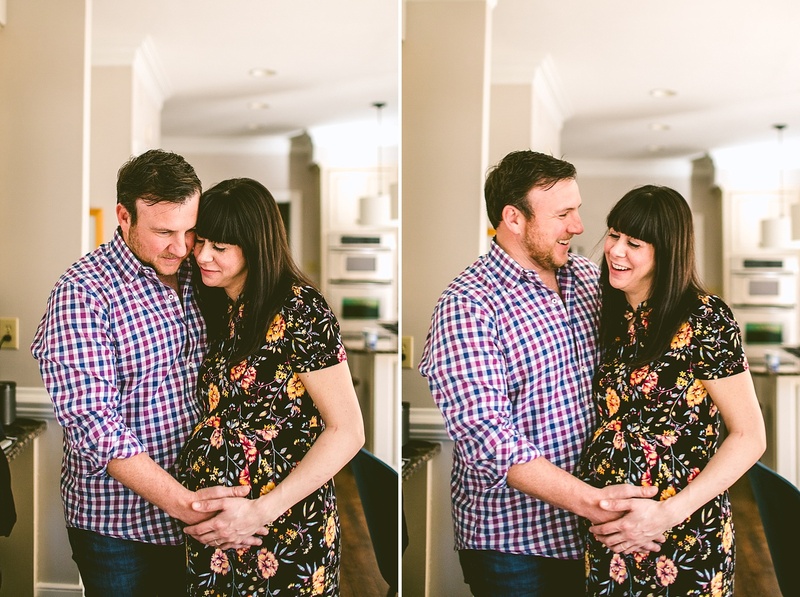 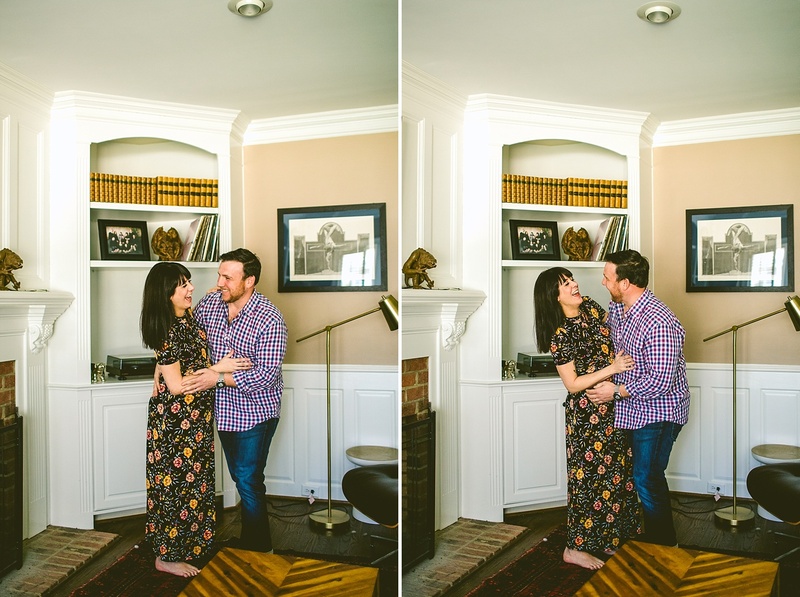 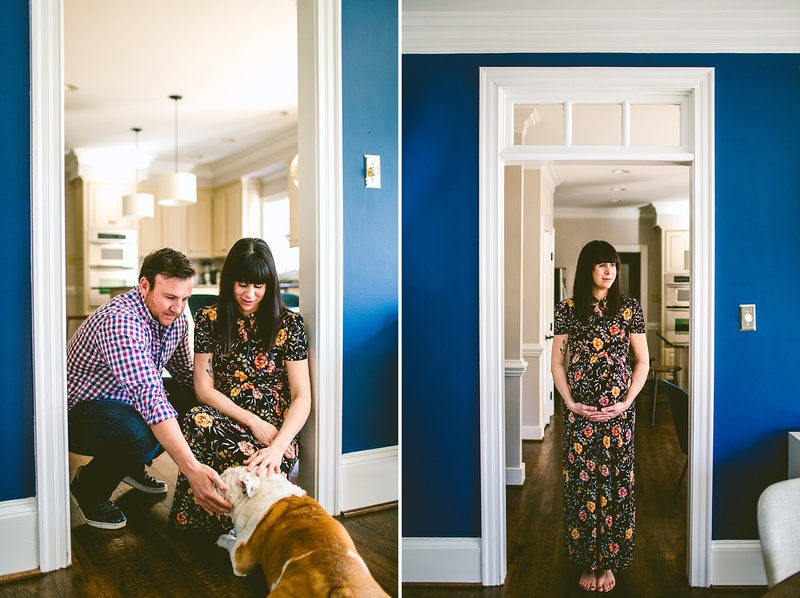 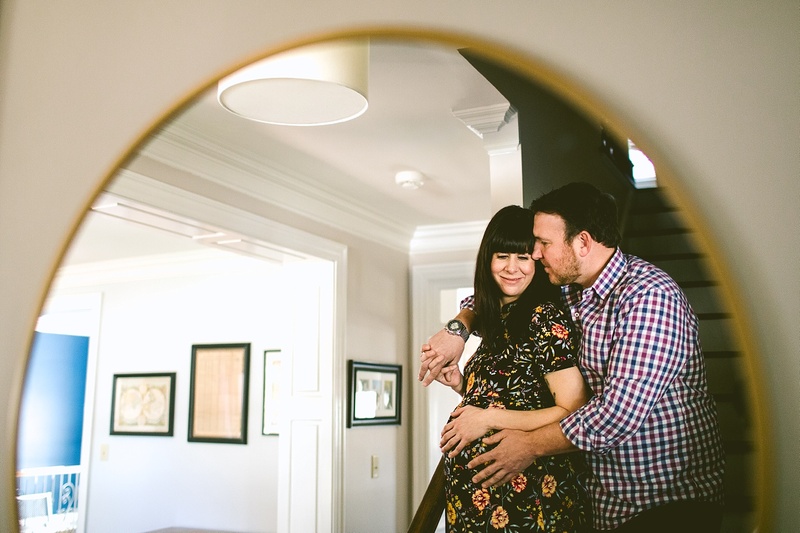 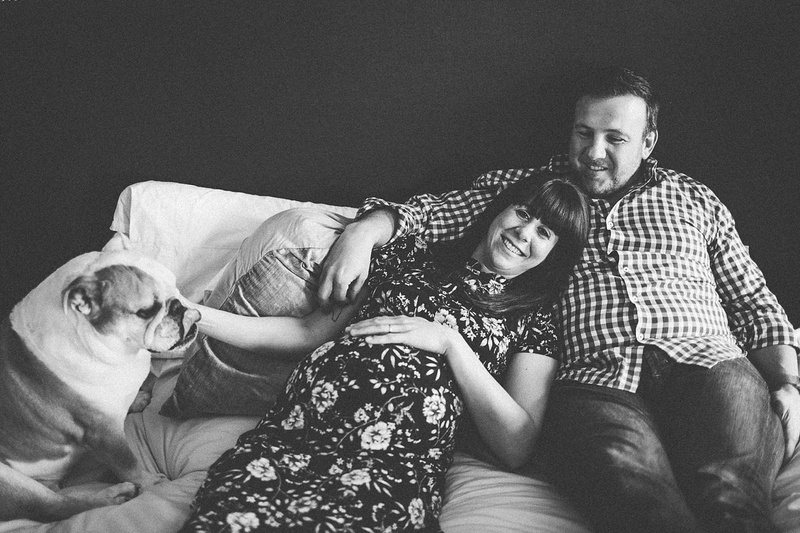 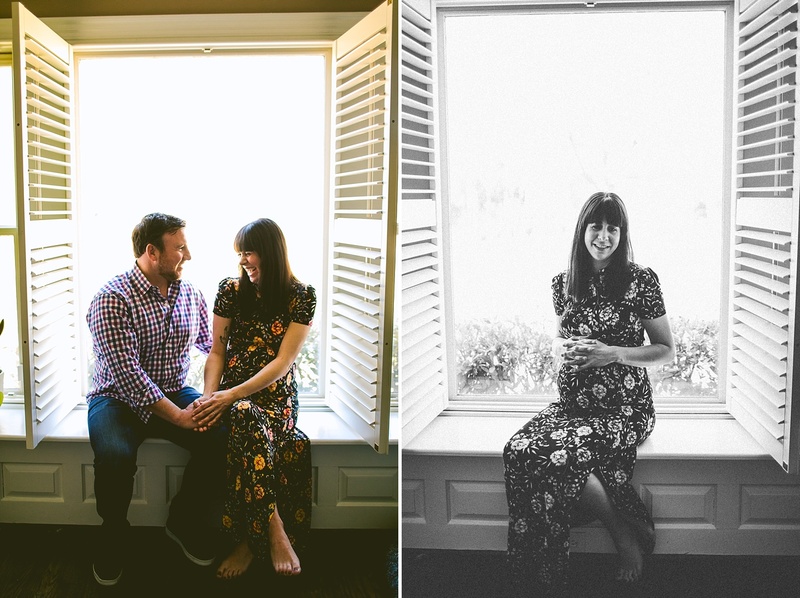 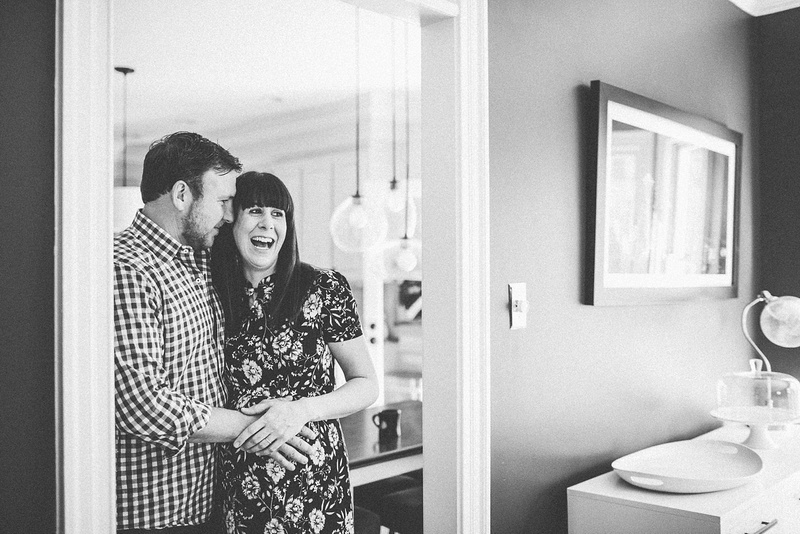 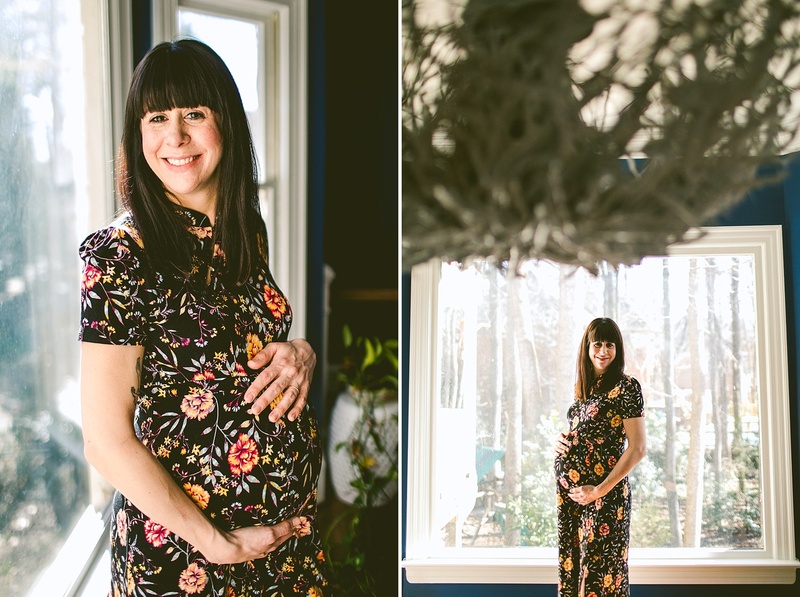 Sarah+Chris // A Maternity Session. 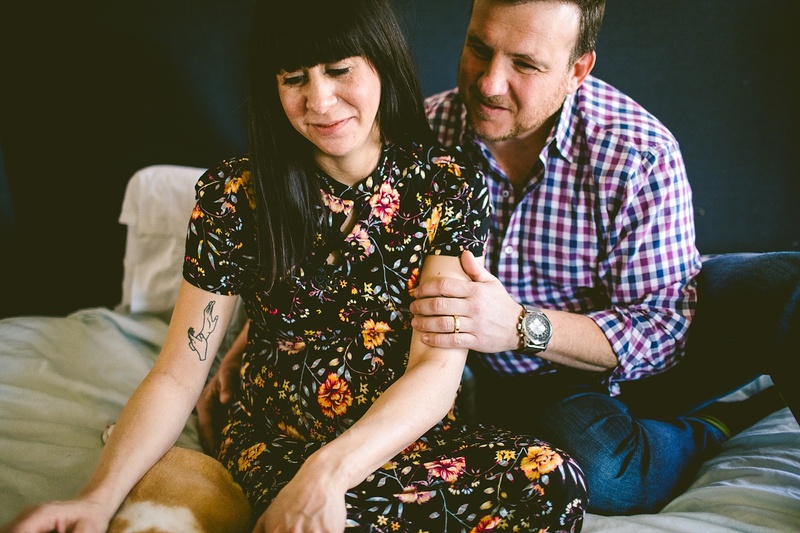 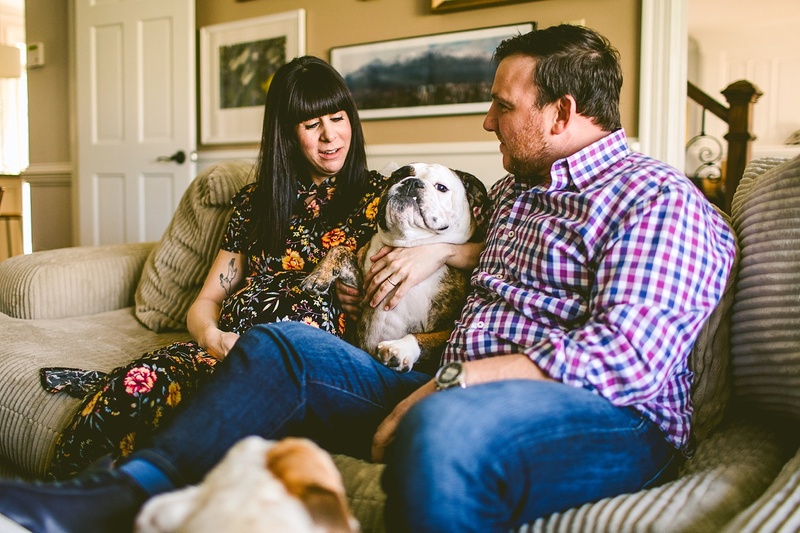 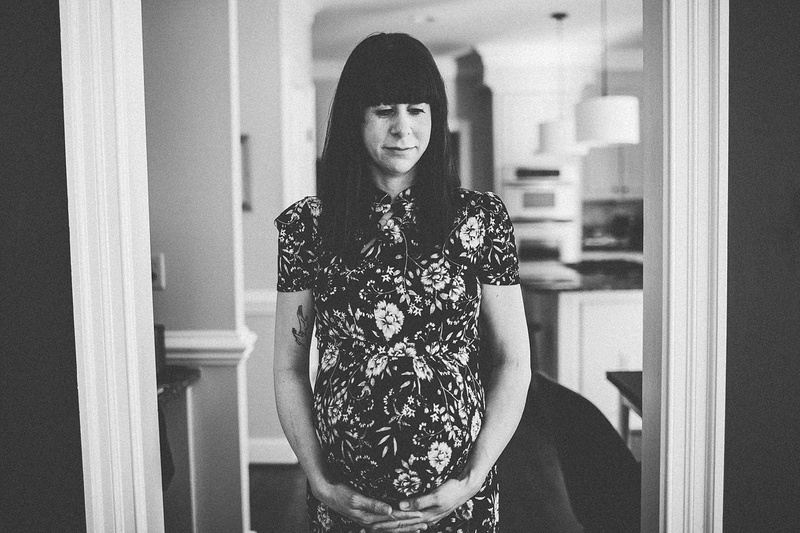 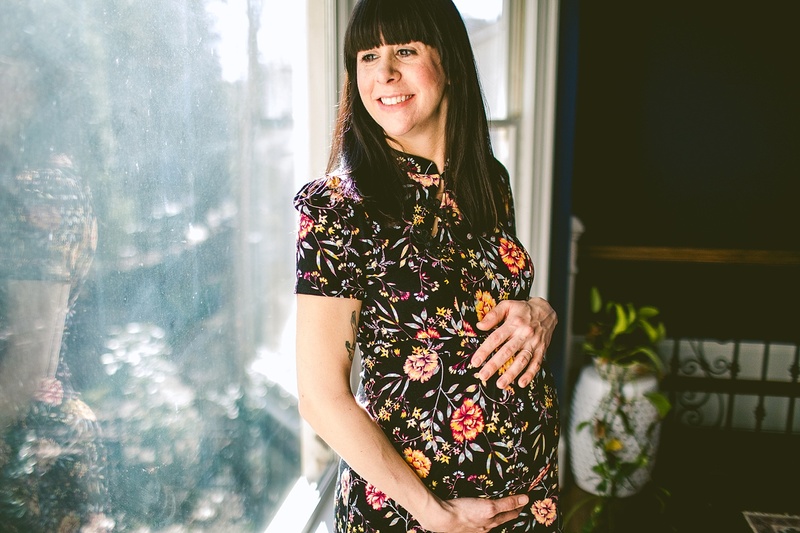 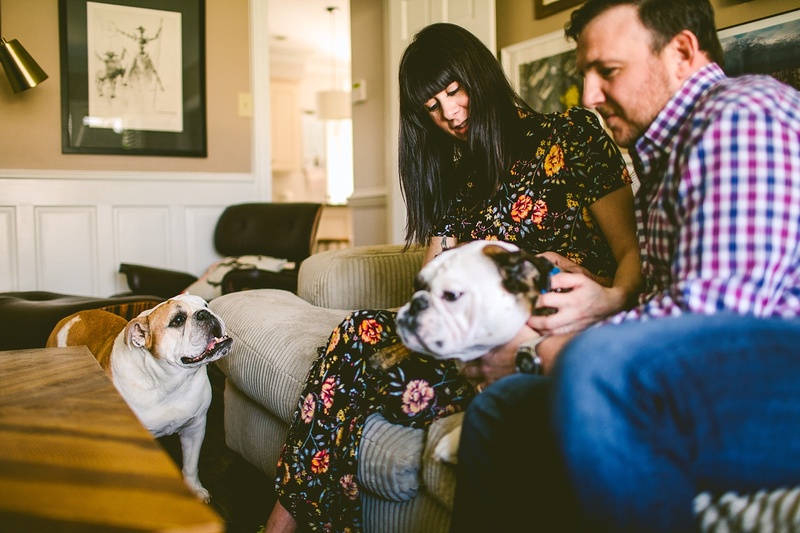 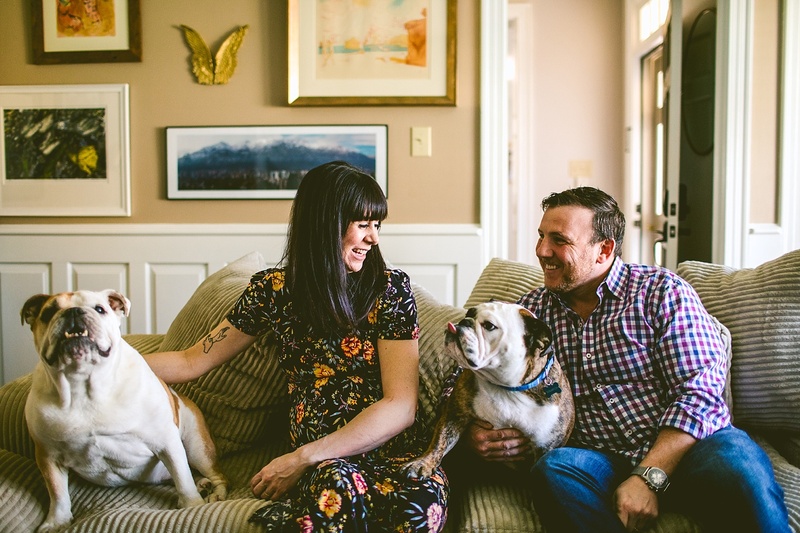 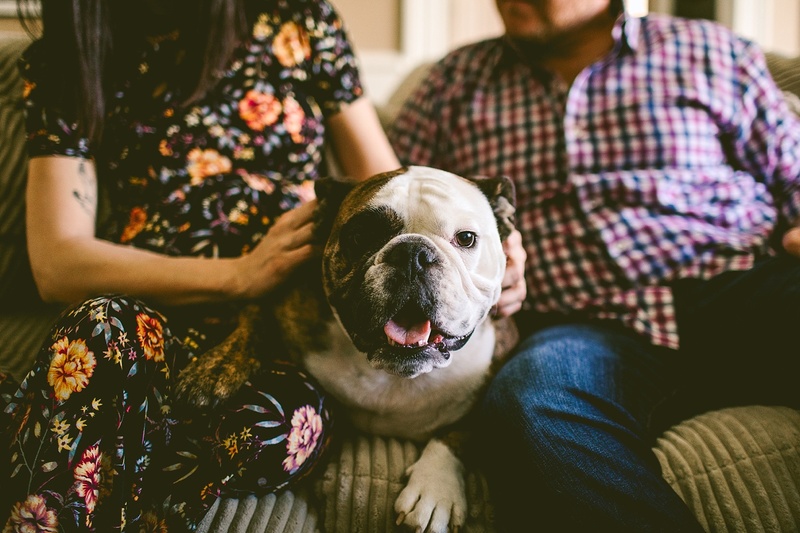 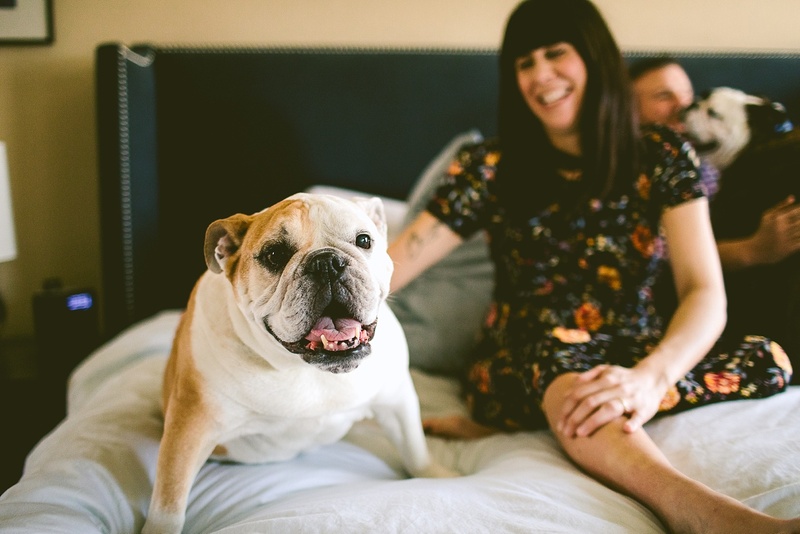 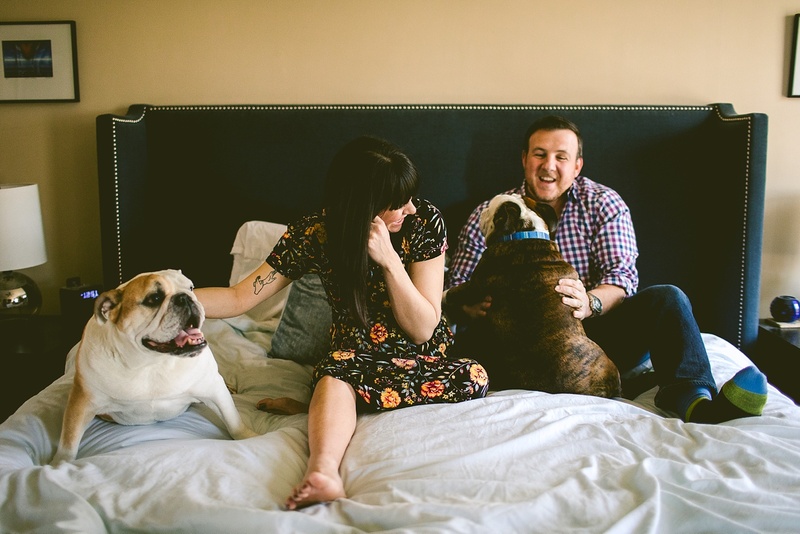 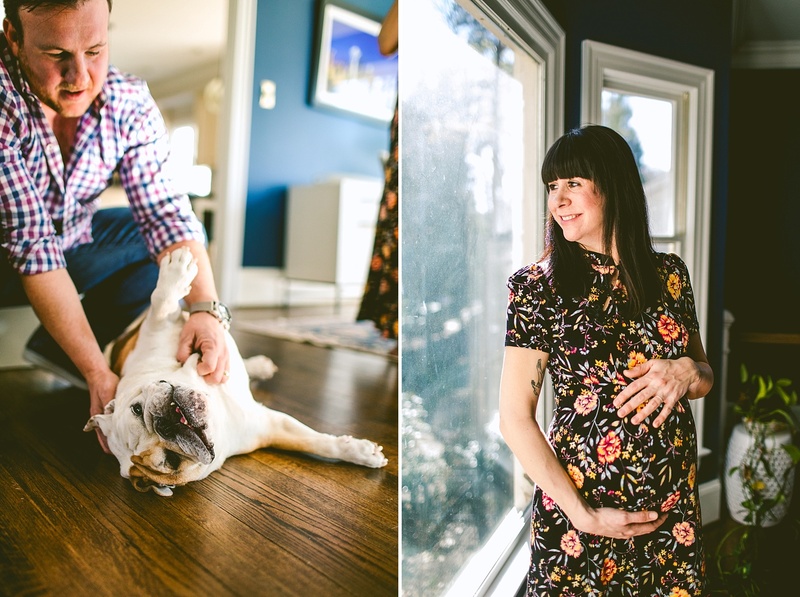 This maternity session had all the things we want out of any session: a Laura Palmer meanwhile hands tattoo, a David Lynch shrine, two English bulldogs, and a listening of “Bodhisattva” by Steely Dan. 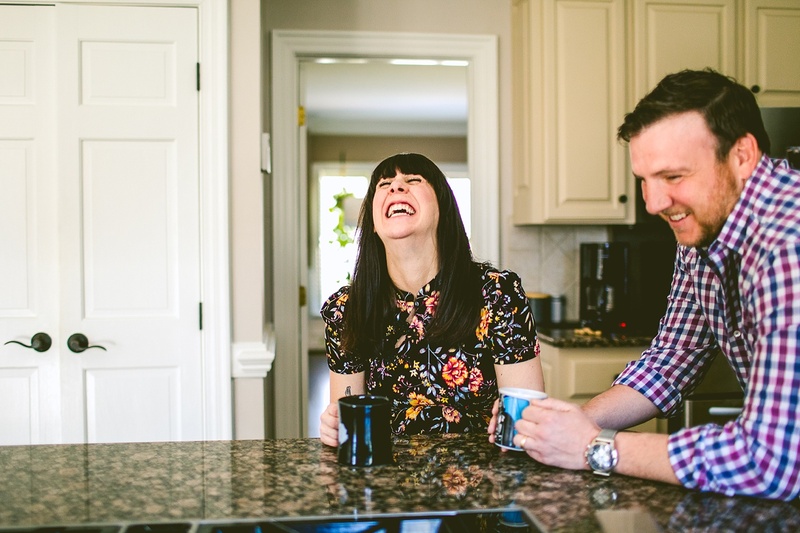 Also, Sarah’s haircut and X-Files discussions. 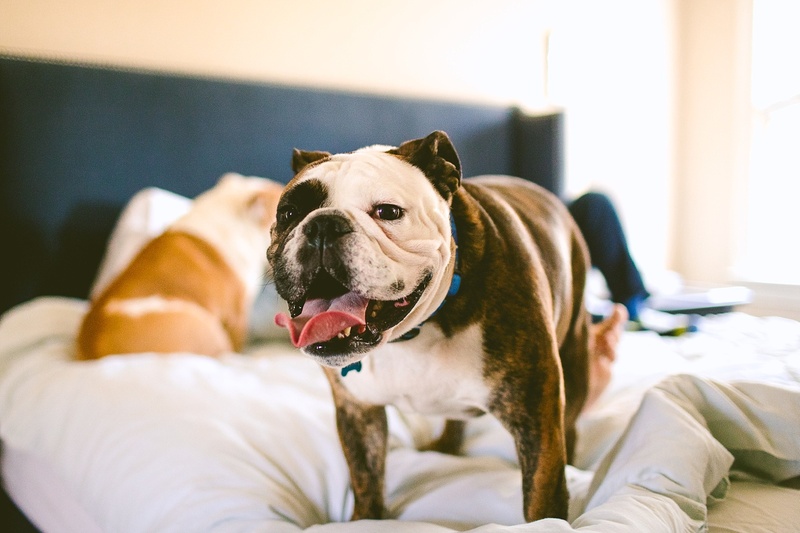 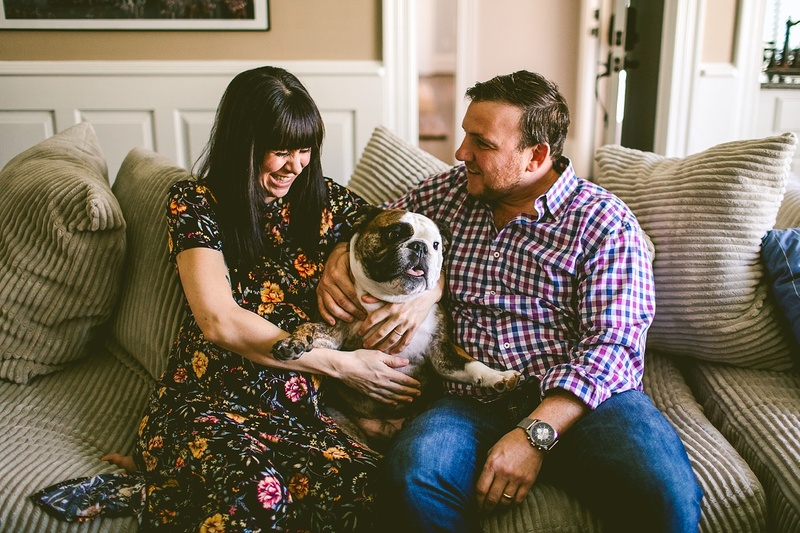 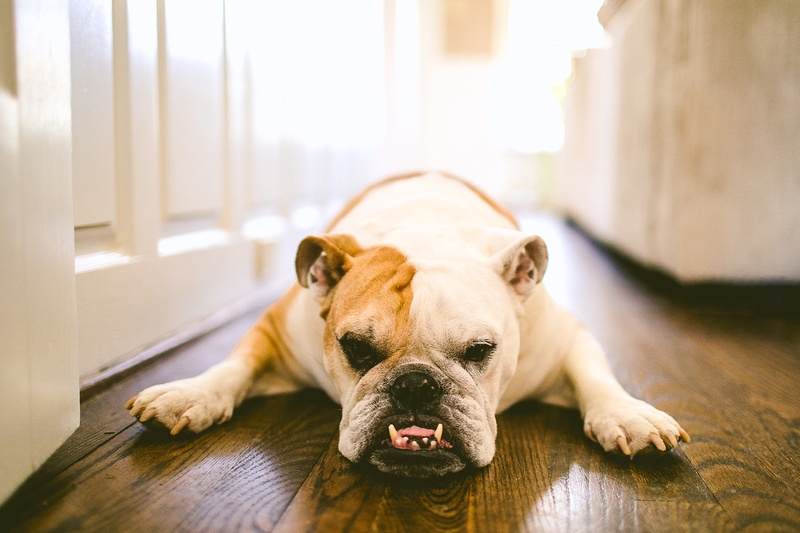 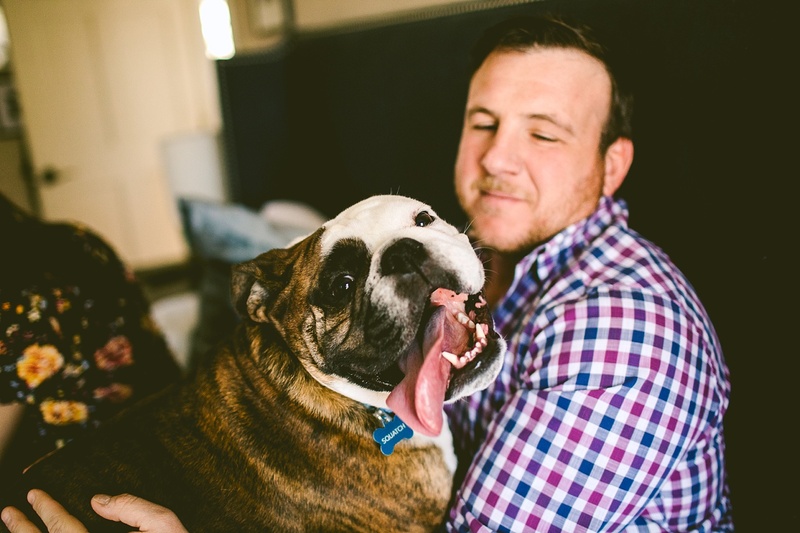 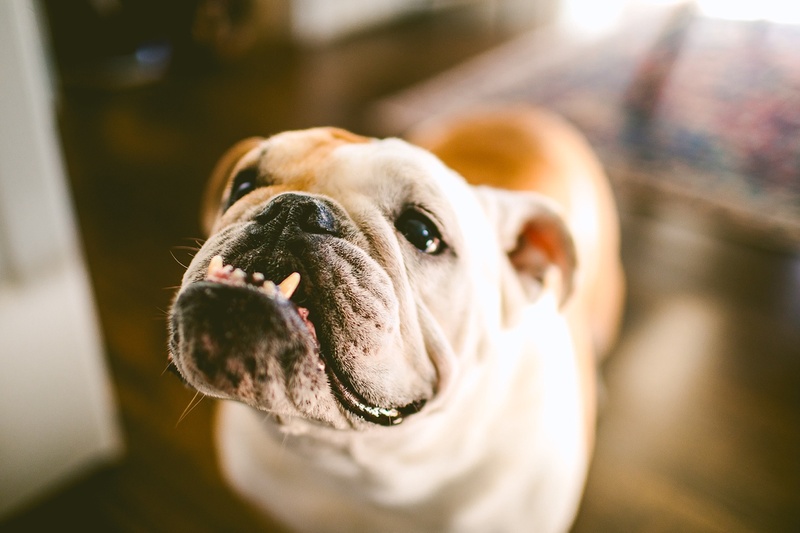 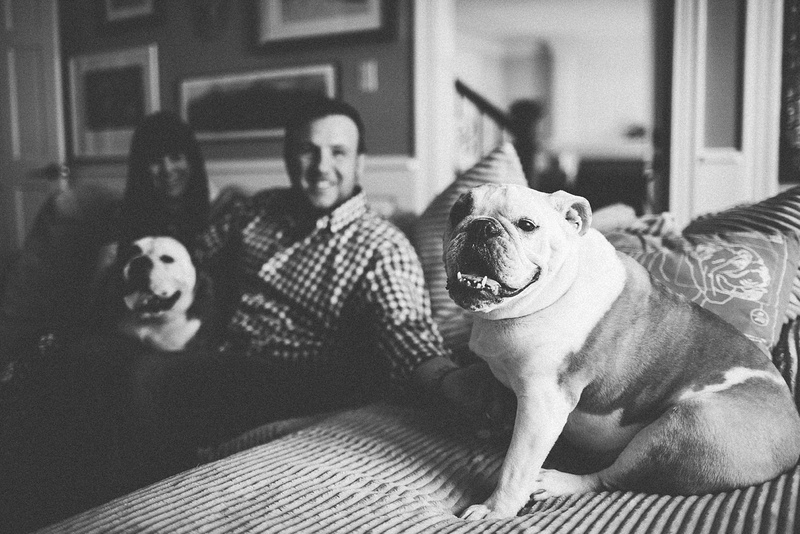 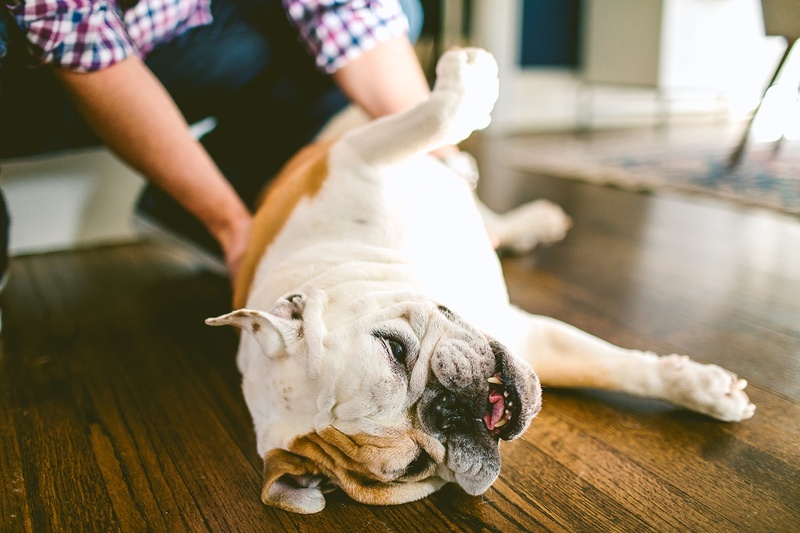 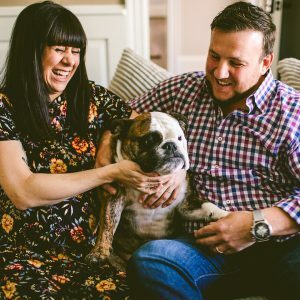 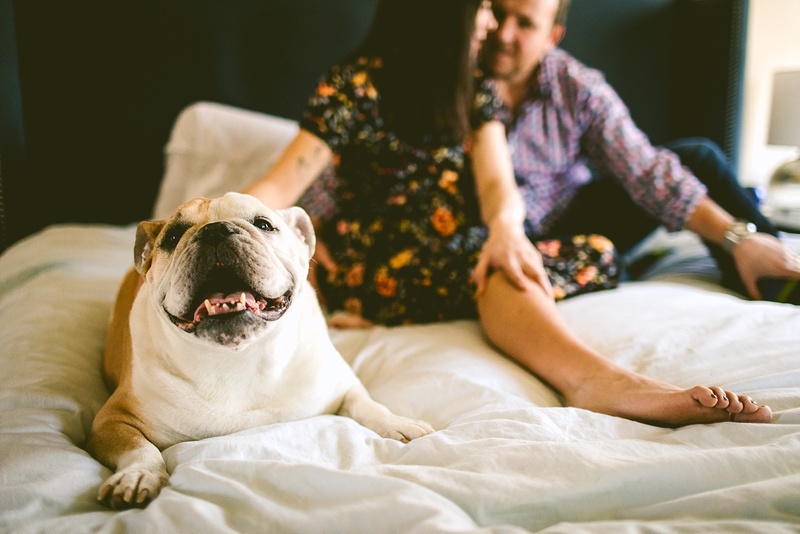 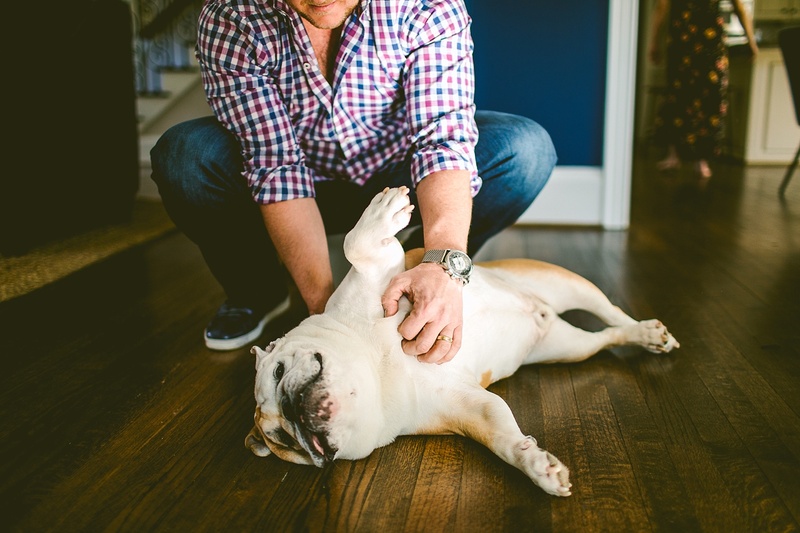 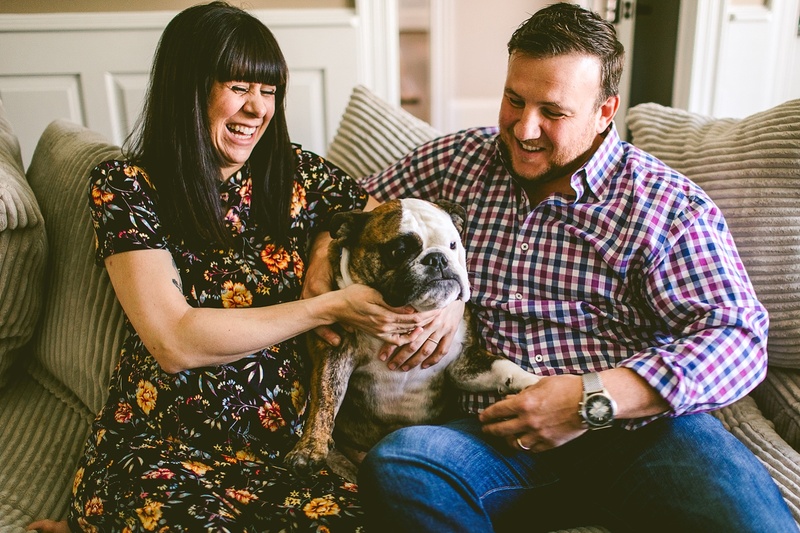 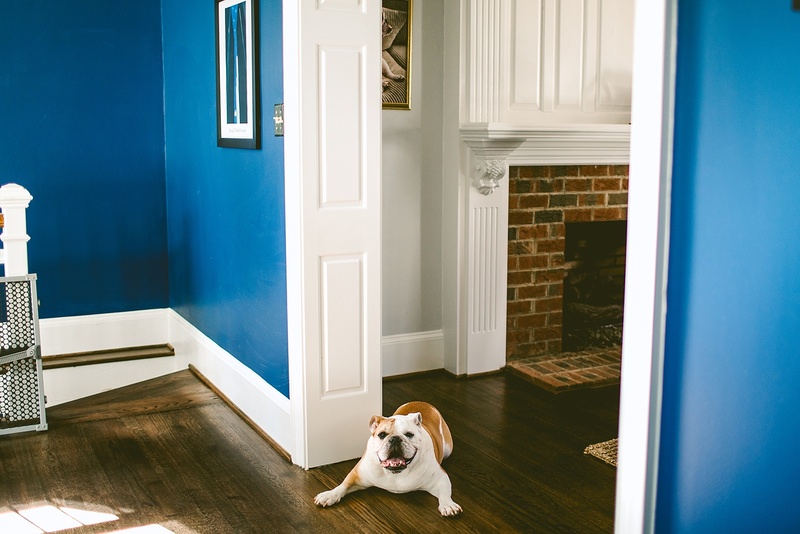 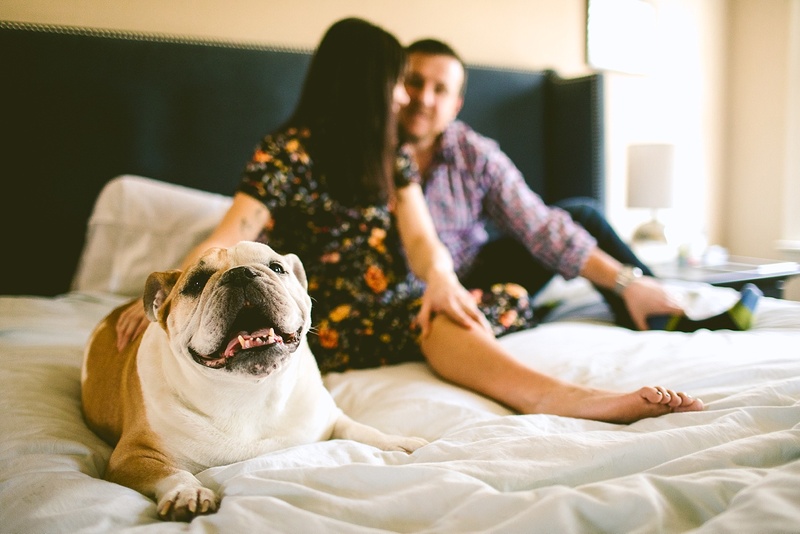 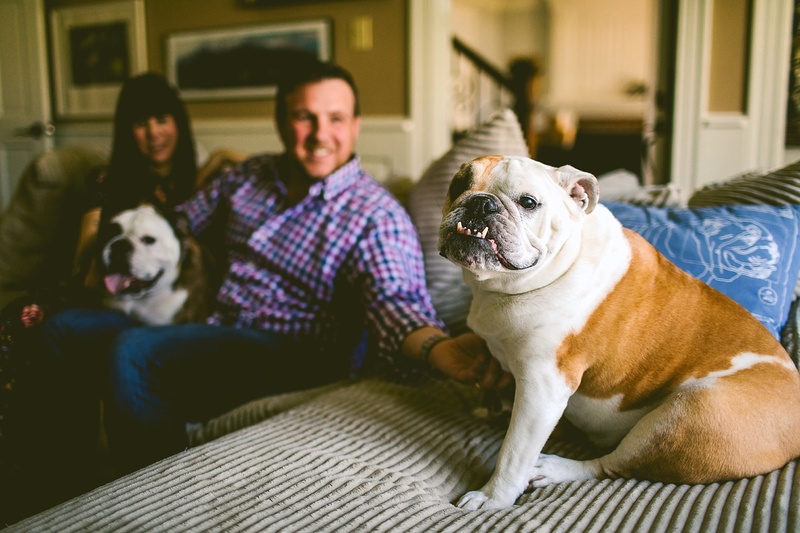 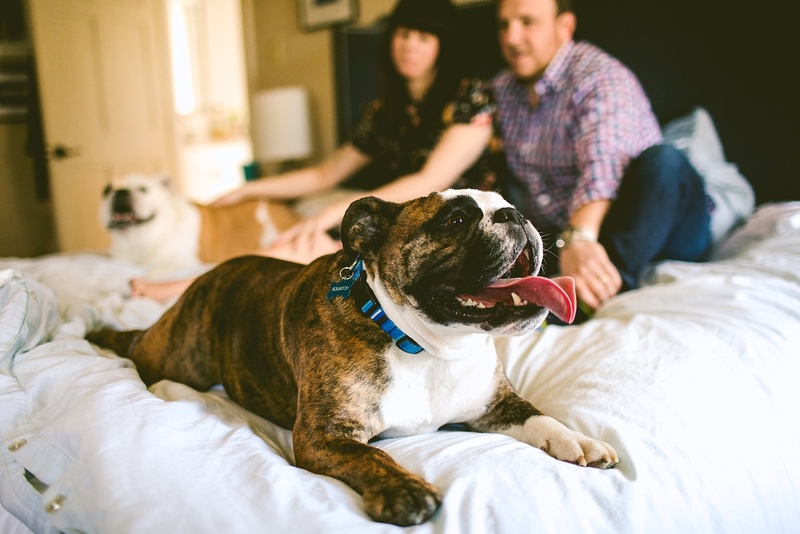 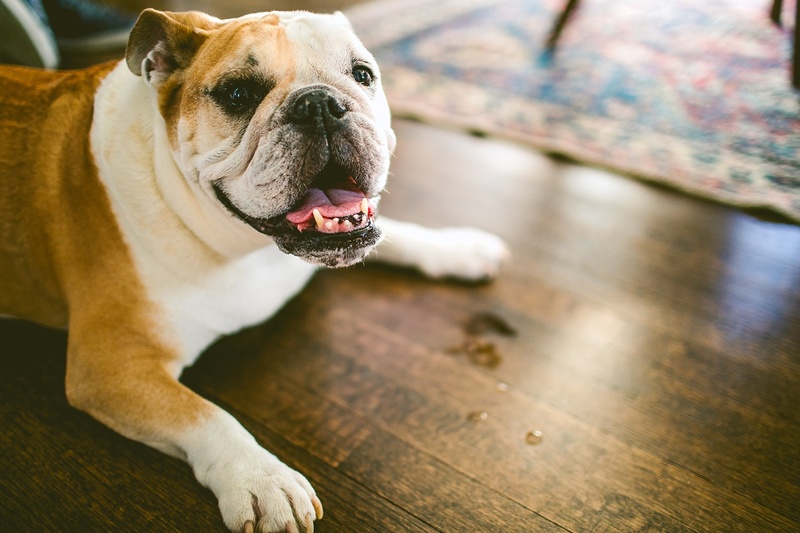 We like them both a whole bunch, even if they didn’t have the world’s two most adorable English bulldogs who have the quintessential protruding jaws that any self-respecting bulldog would have. 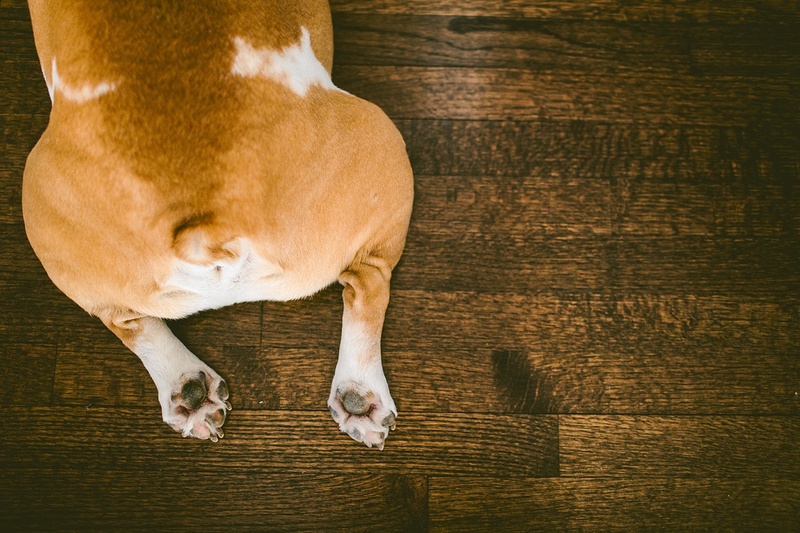 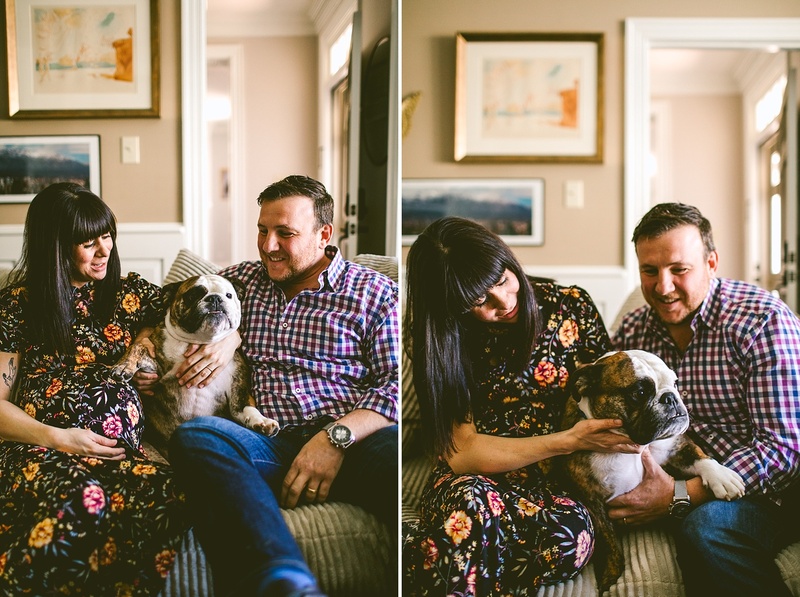 They also stick their legs out completely straight and have a bunch of face-rolls (the dogs… not Sarah and Chris) and their names are Seamus and Sasquatch. 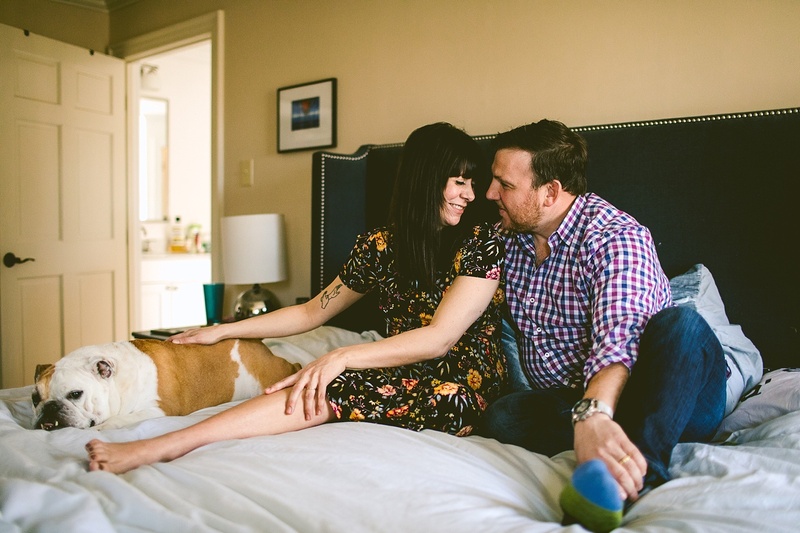 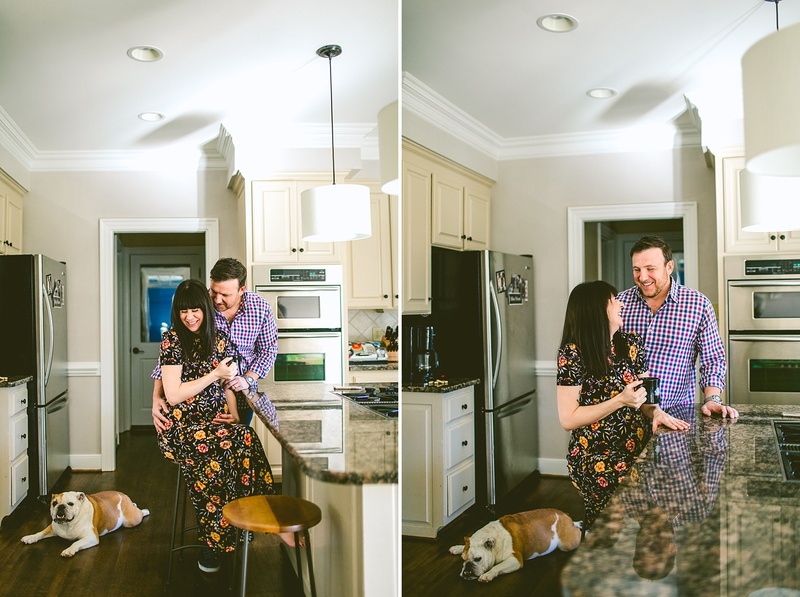 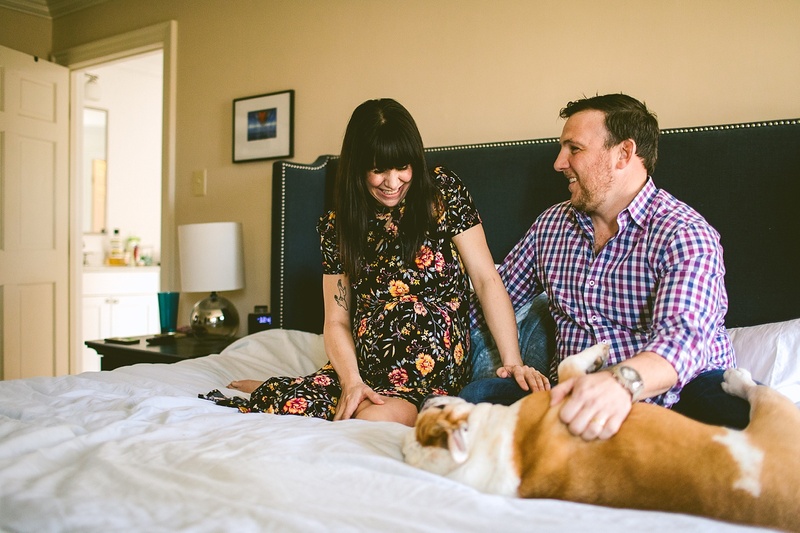 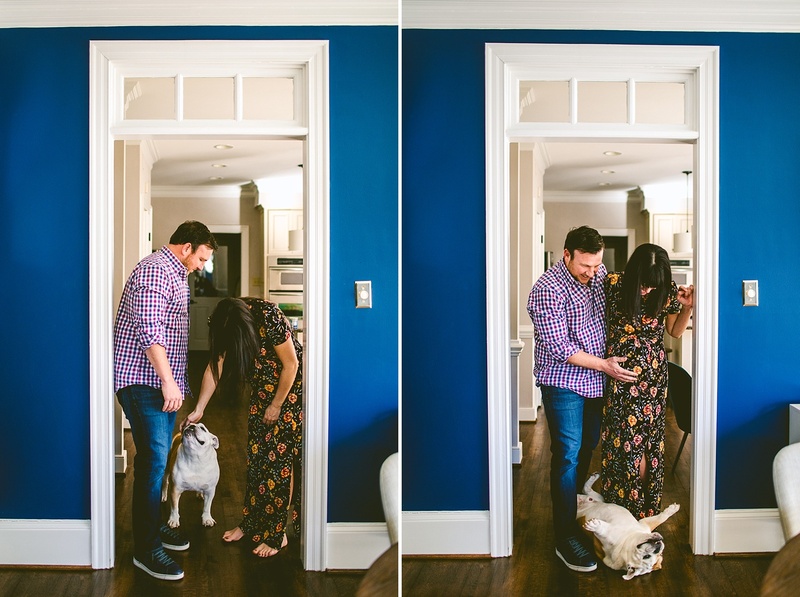 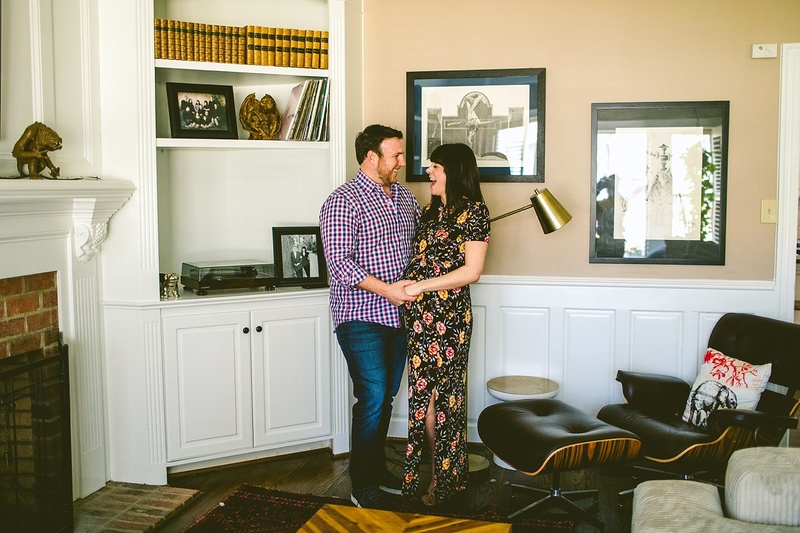 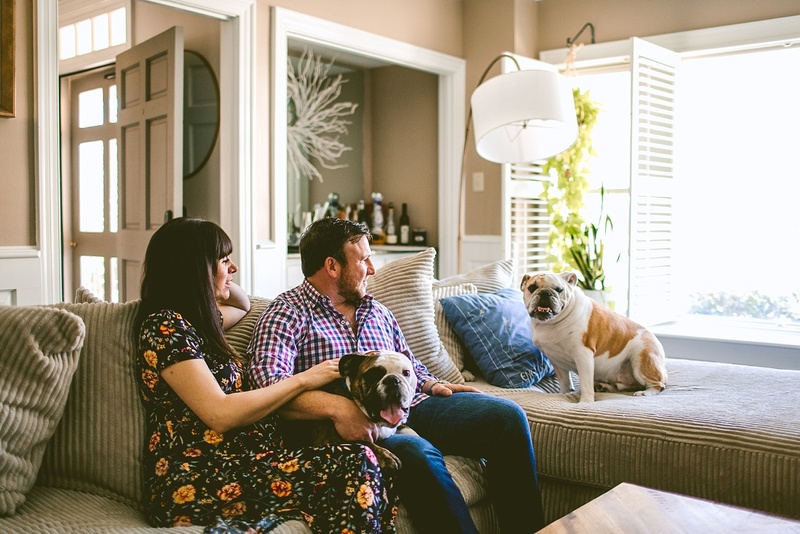 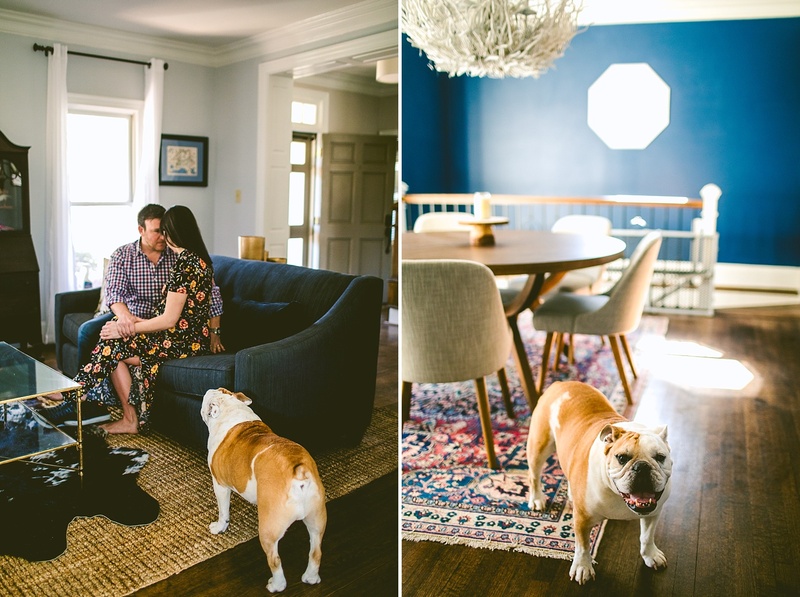 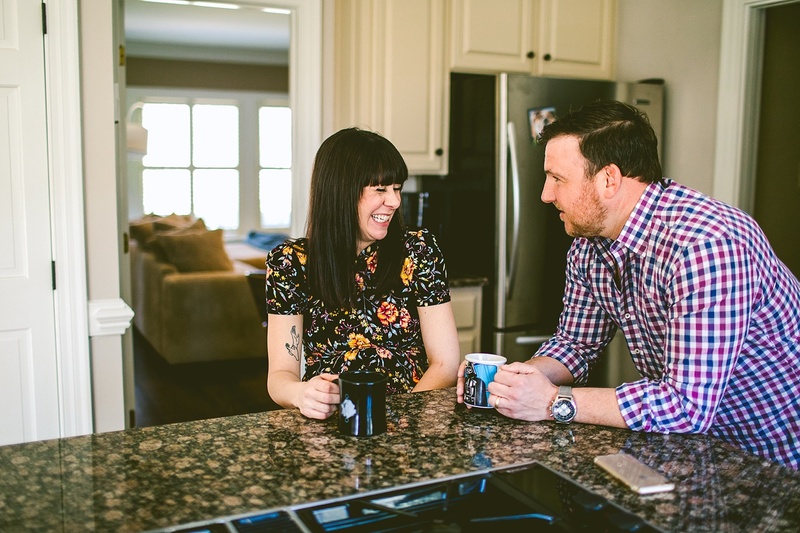 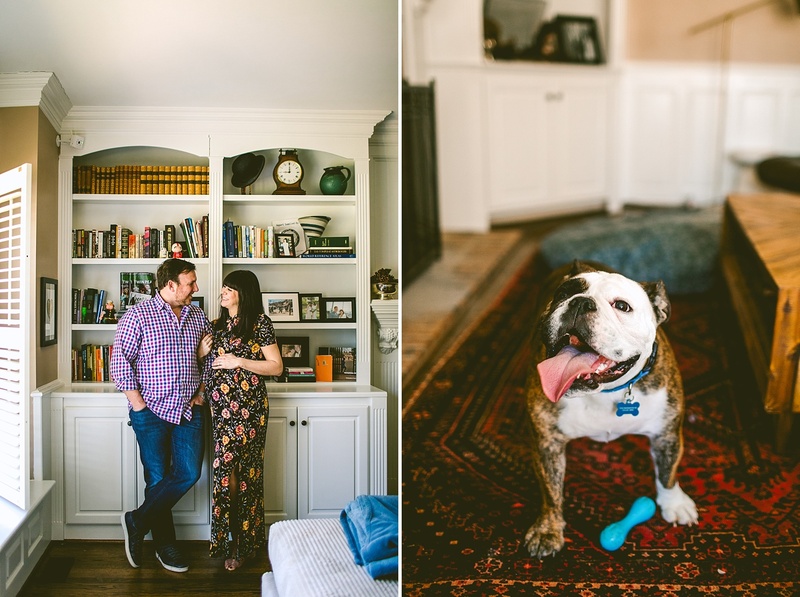 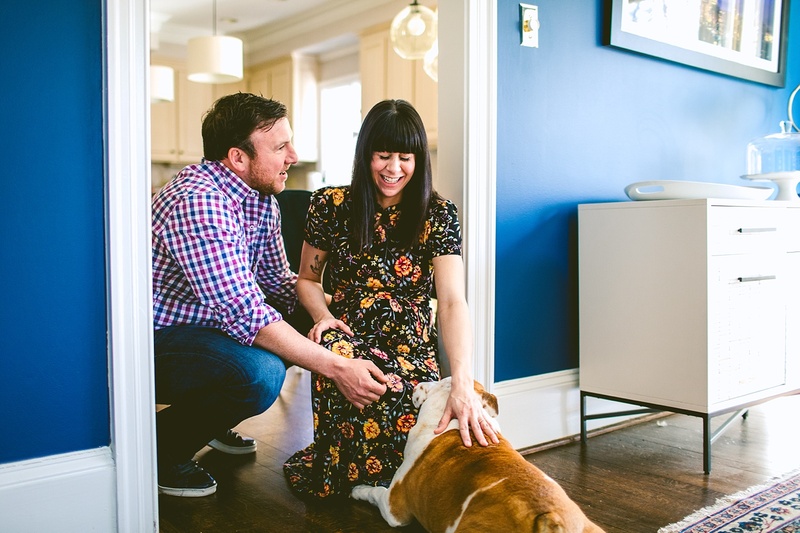 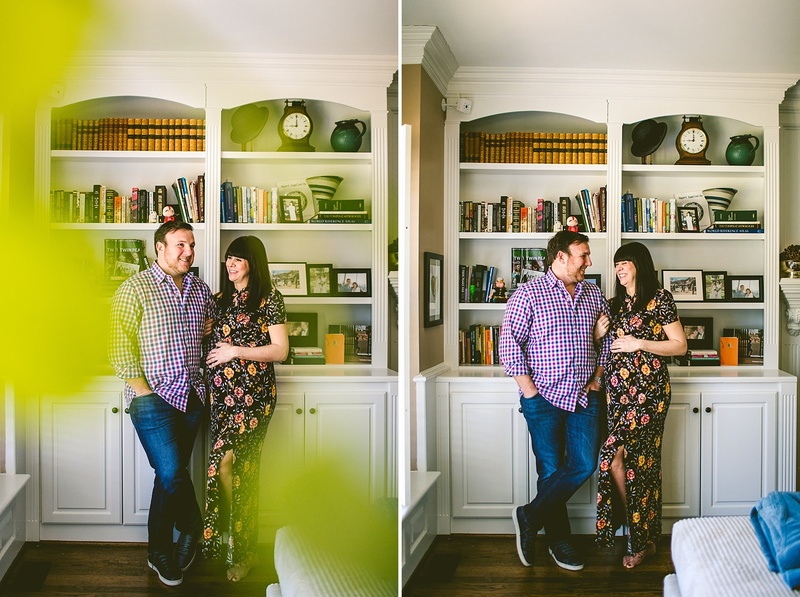 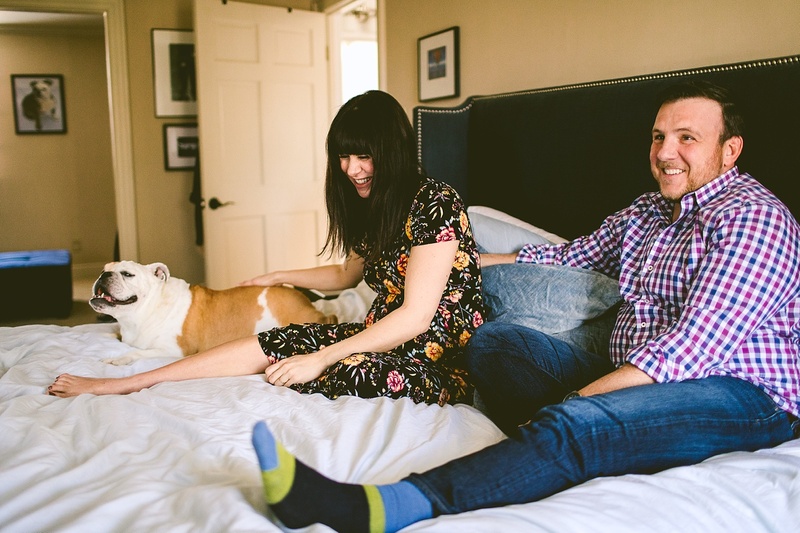 The point of this session was to document Sarah’s pregnancy and her and Chris’s life together with the pups before the arrival of baby boy in February, and we happily did just that in their wonderful home. 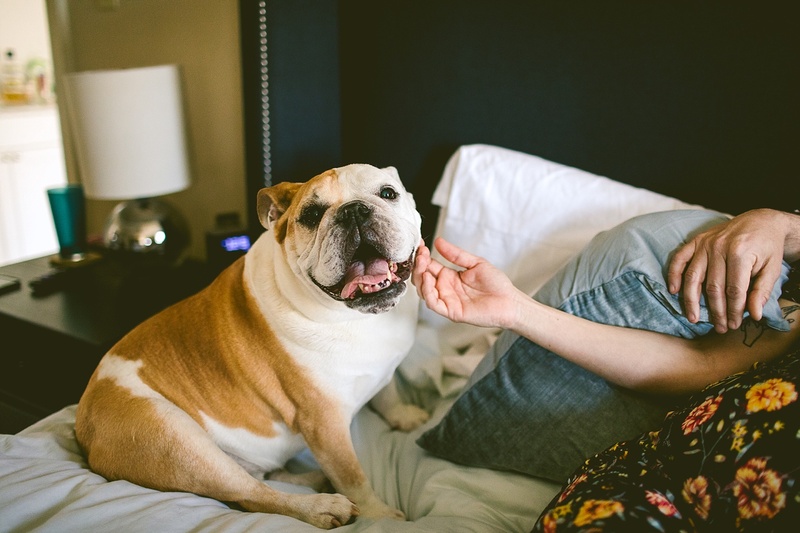 Seamus is also getting up there in bulldog years so it was important to photograph his squishy face (he is the lighter, tanner bulldog). 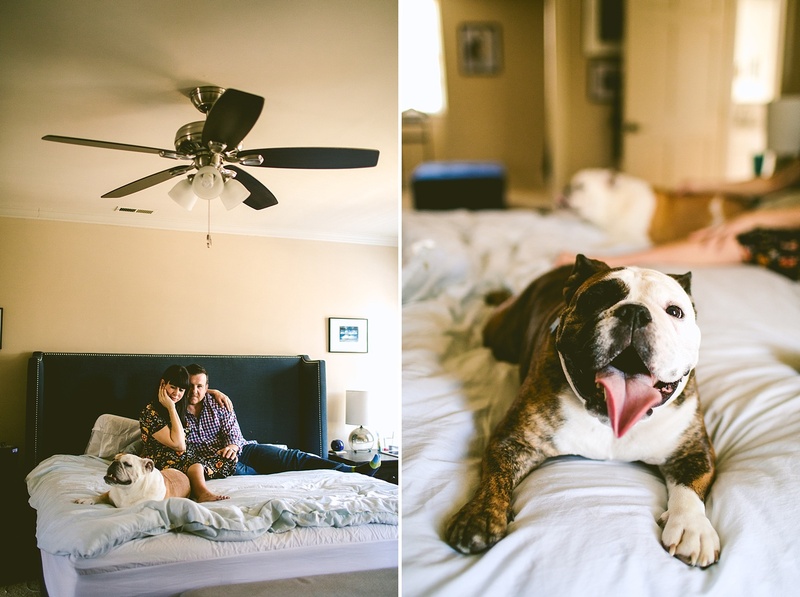 Sasquatch is his newer brother who was a gift to Chris on their wedding day (cutest squishiest gift ever). 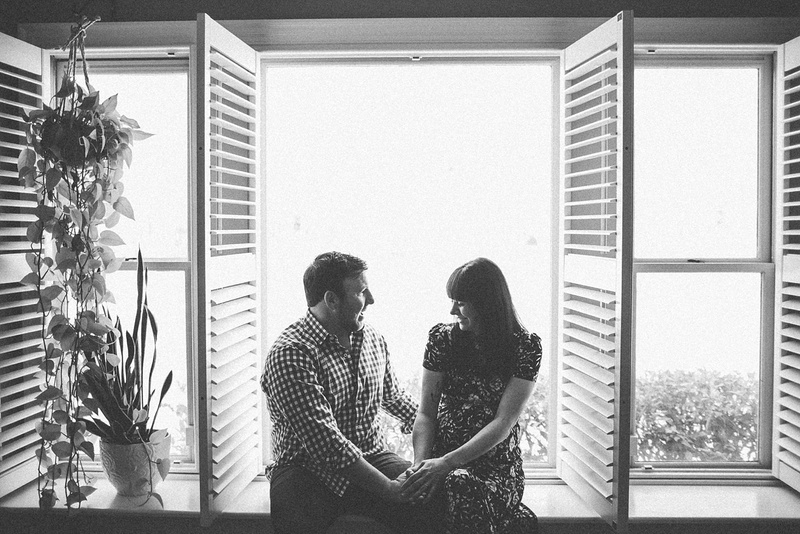 Sarah and Chris met in St. Louis. 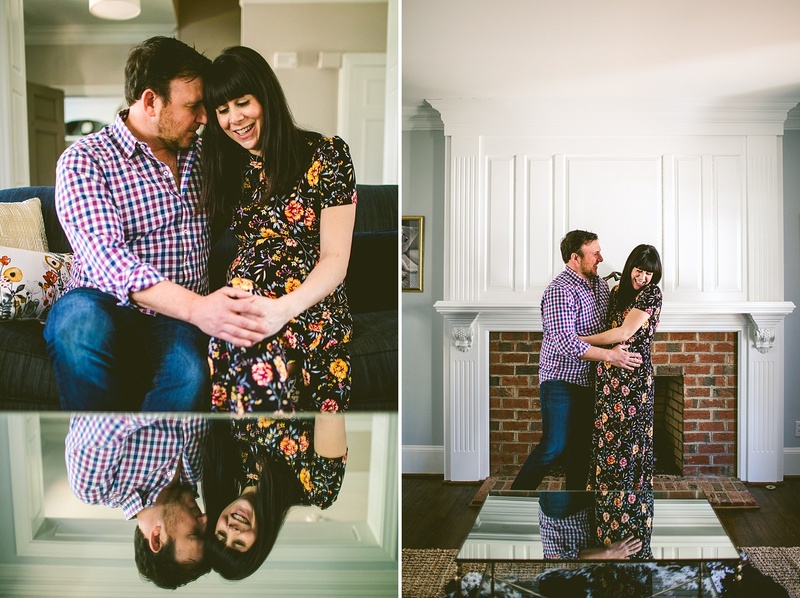 Chris wore this exactly plaid shirt on their first date, as well as during their engagement pictures, and now during their maternity pictures. 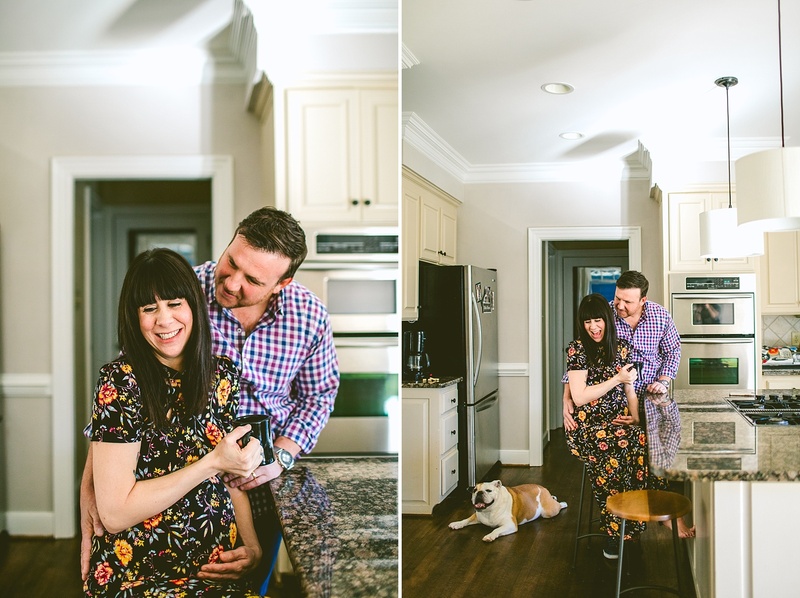 I officially declare that the most thoughtful and charming clothing choice from any guy we’ve photographed. 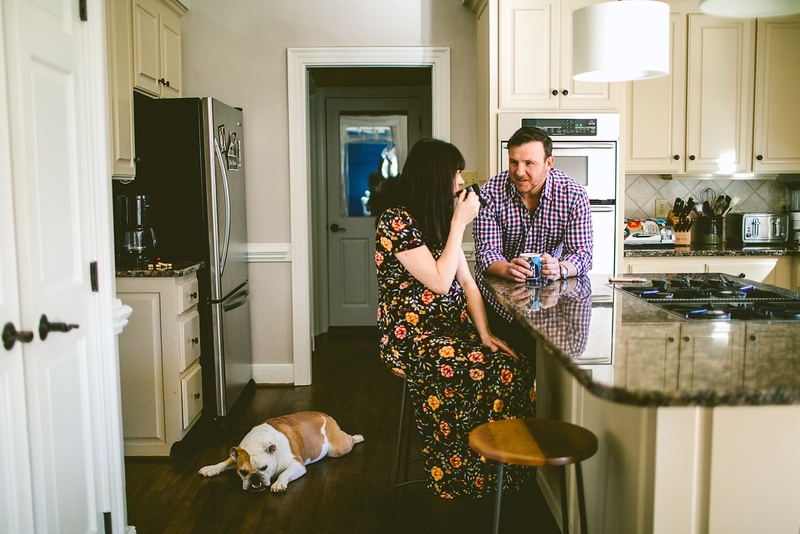 He also has a pretty killer vintage Star Wars mug that has continuity clothing issues (which makes it even more awesome) and he’s seen Phish over 50 times. 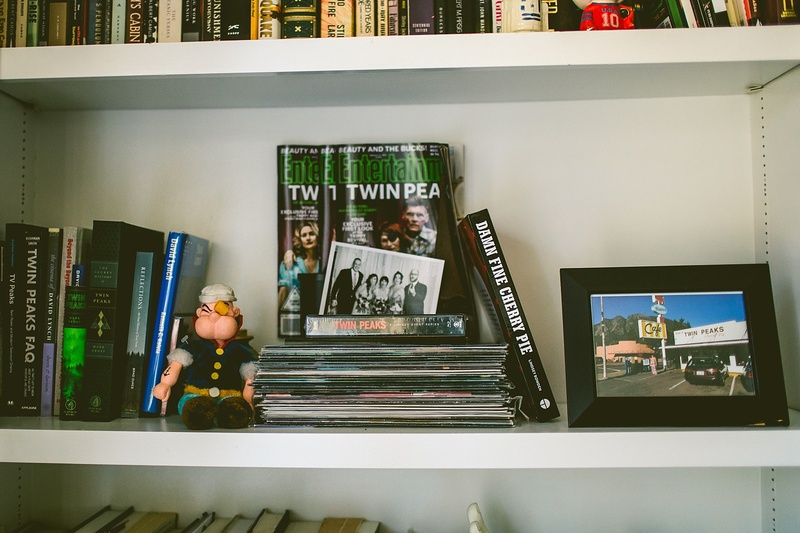 Sarah is very much into all things David Lynch and I firmly believe that she should be crowned Miss Twin Peaks and be presented with some sort of “Save the Pine Weasel” pin. 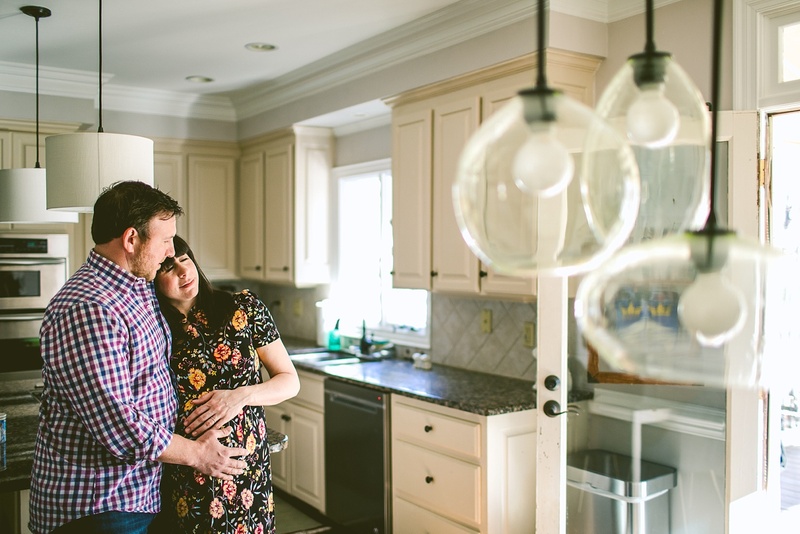 Both Chris and Sarah are concerned their kid will like pop music in the future, but we agree that yacht rock type pop of the late 70s is 100% acceptable and even encouraged. 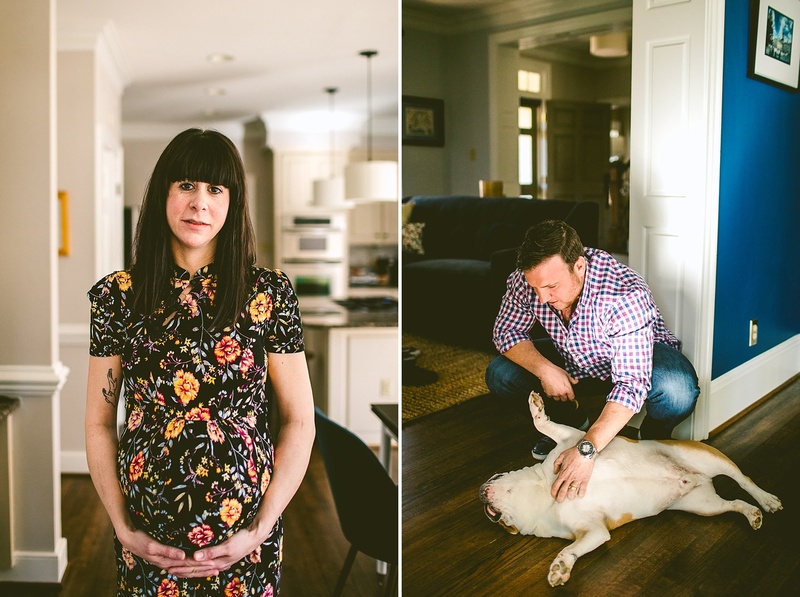 We are excited to bring you more of these people (and pups) next month when we meet their baby who we’re sure will be totally badass straight out of the womb.